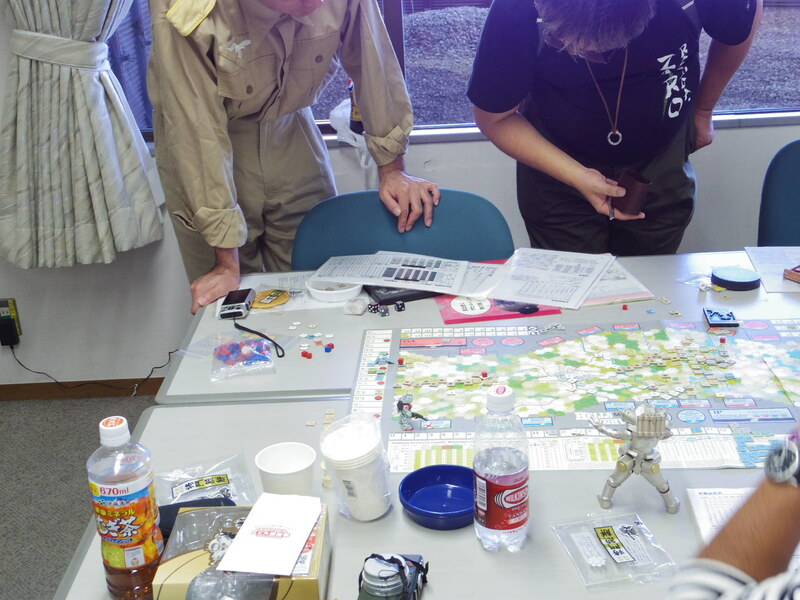 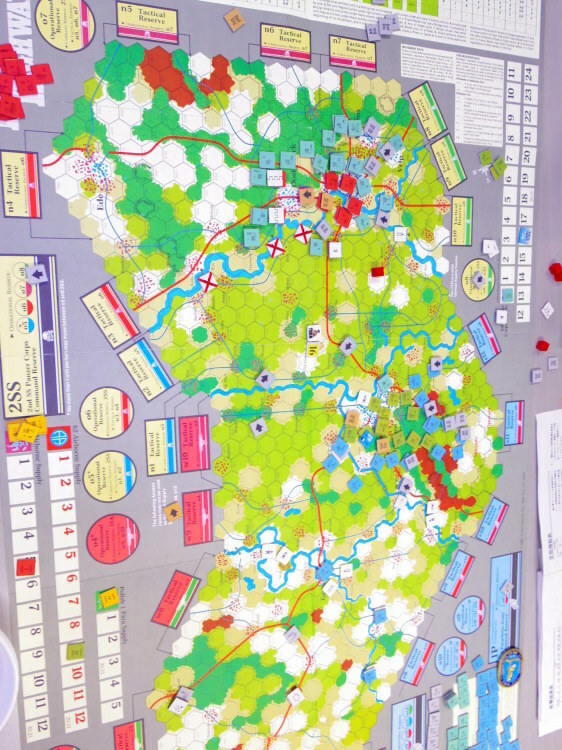 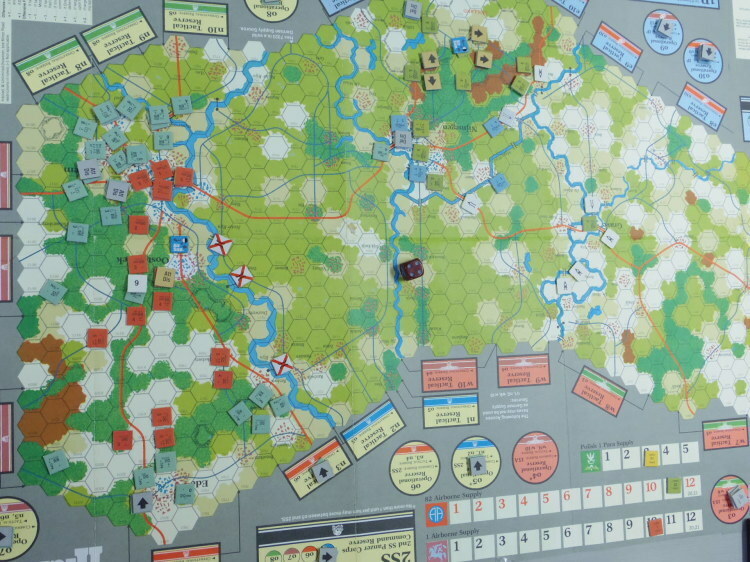 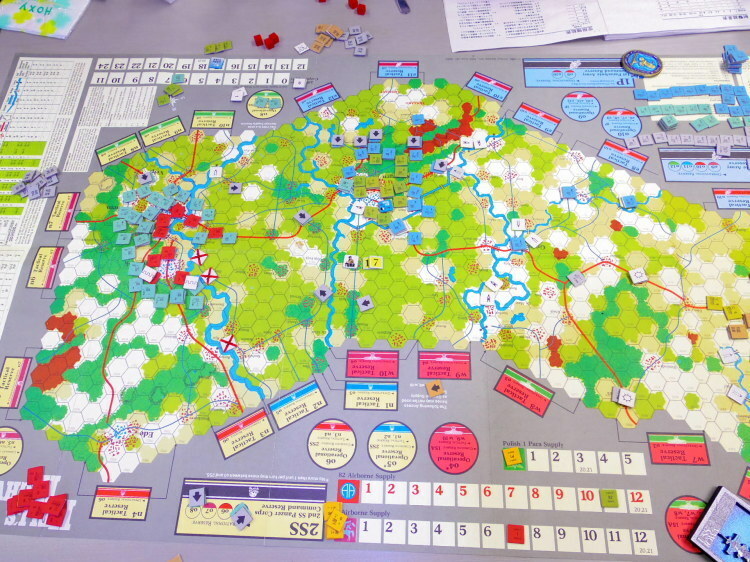 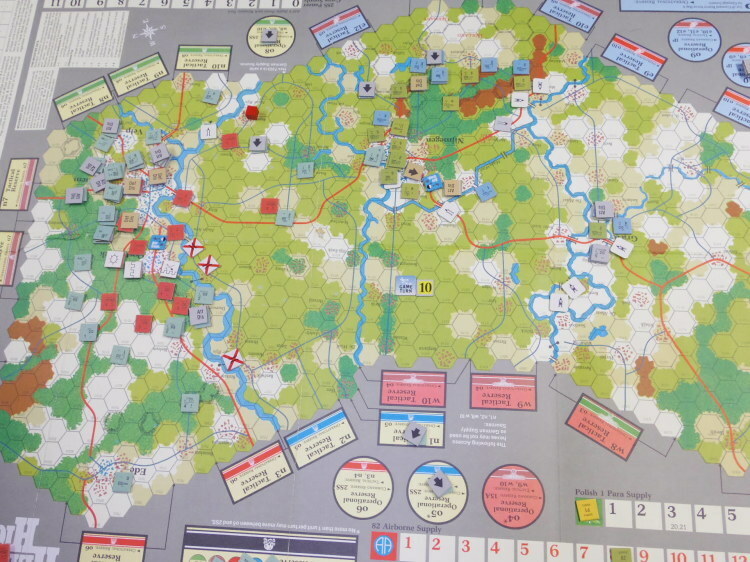 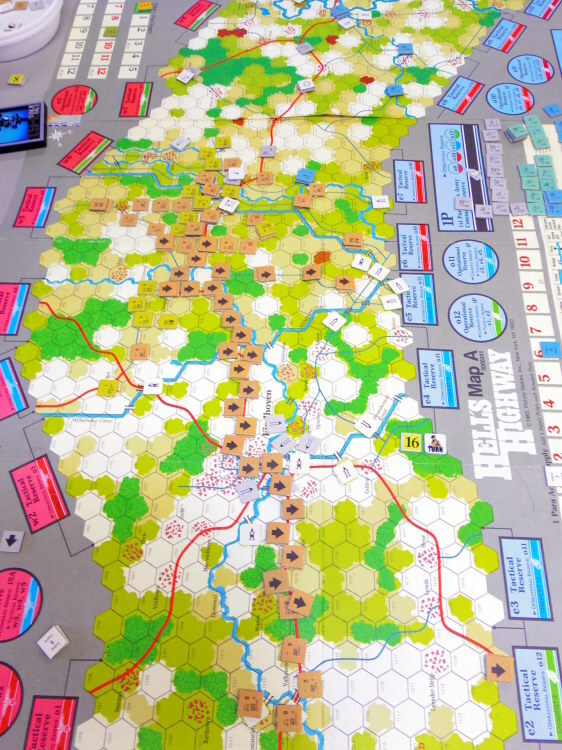 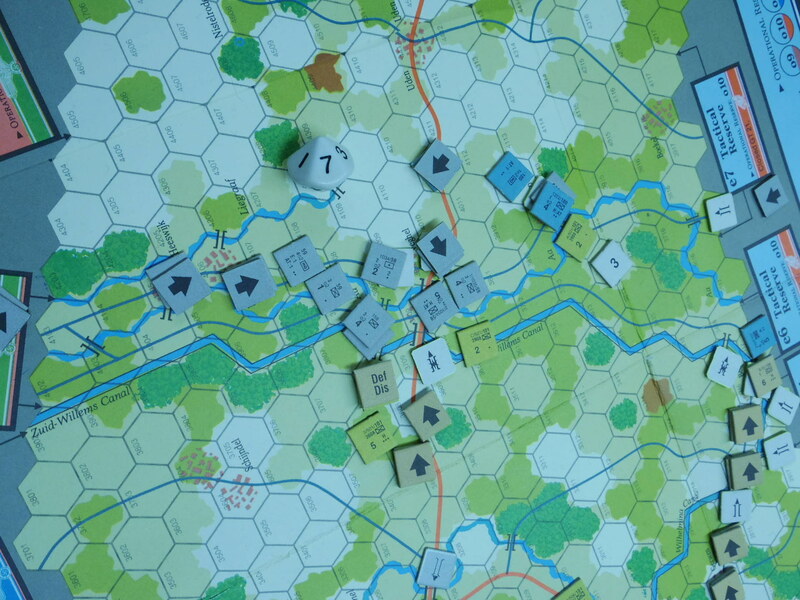 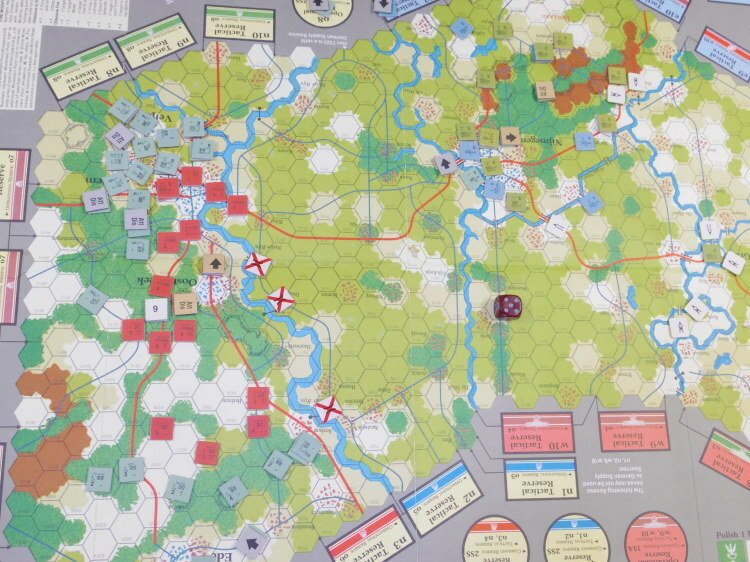 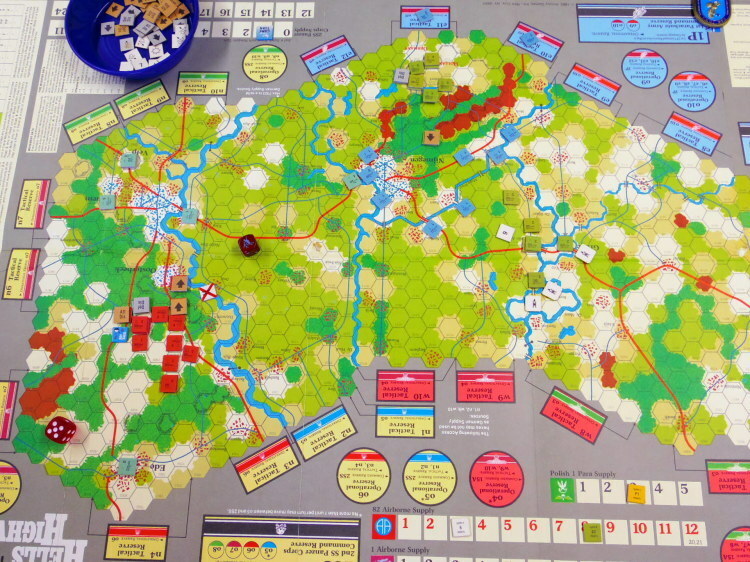 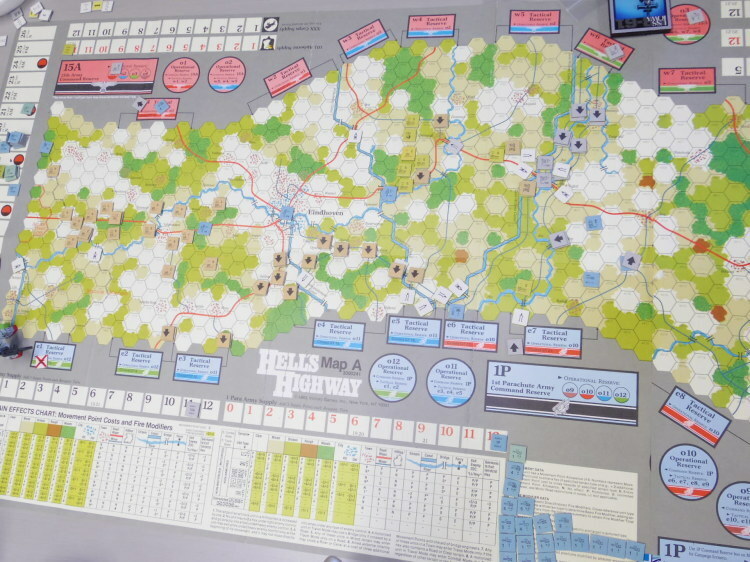 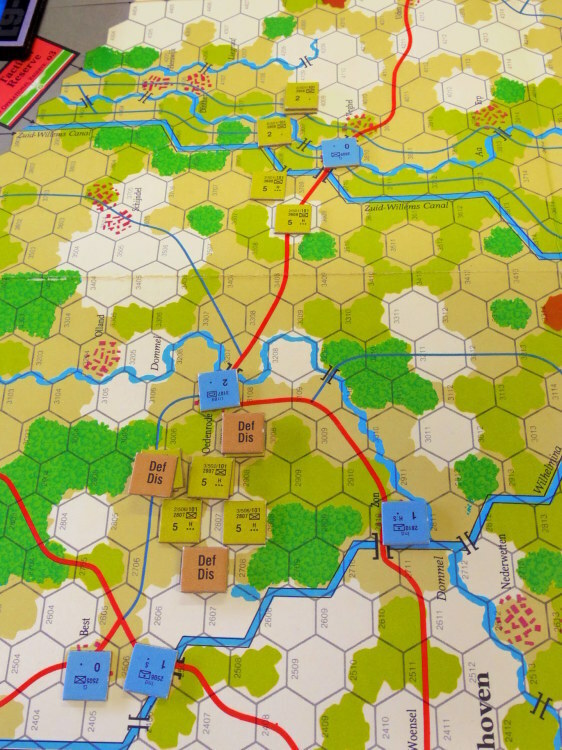 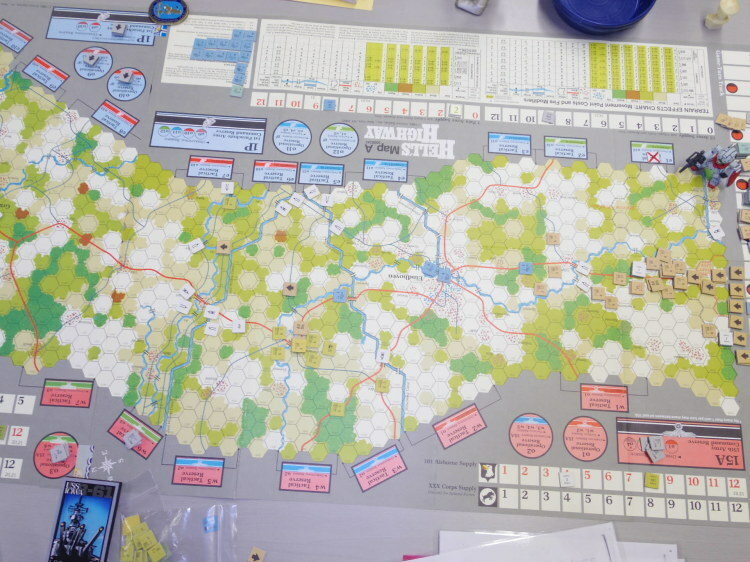 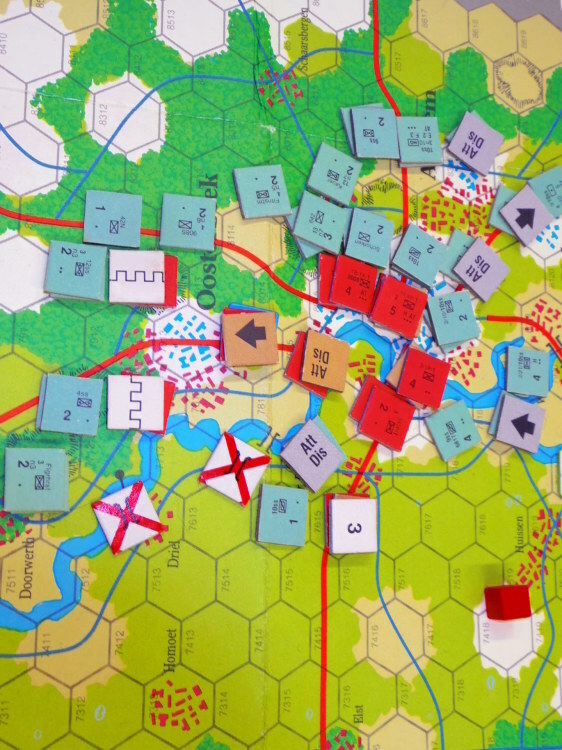 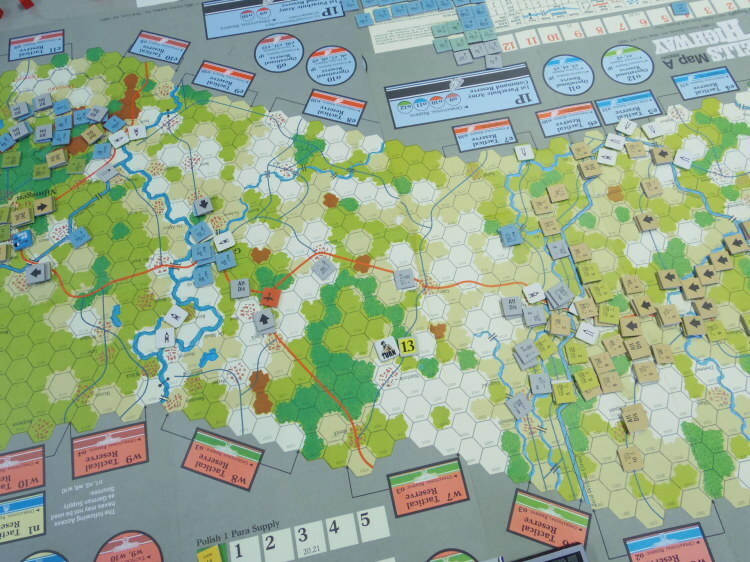 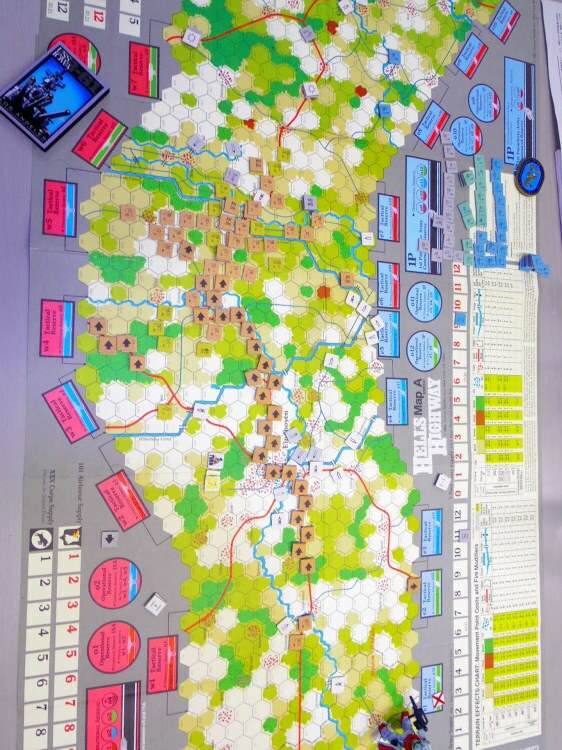 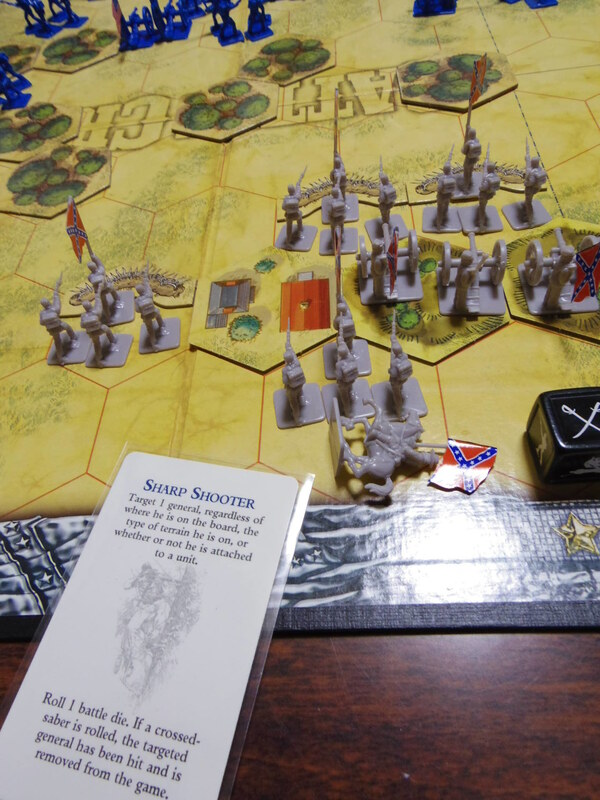 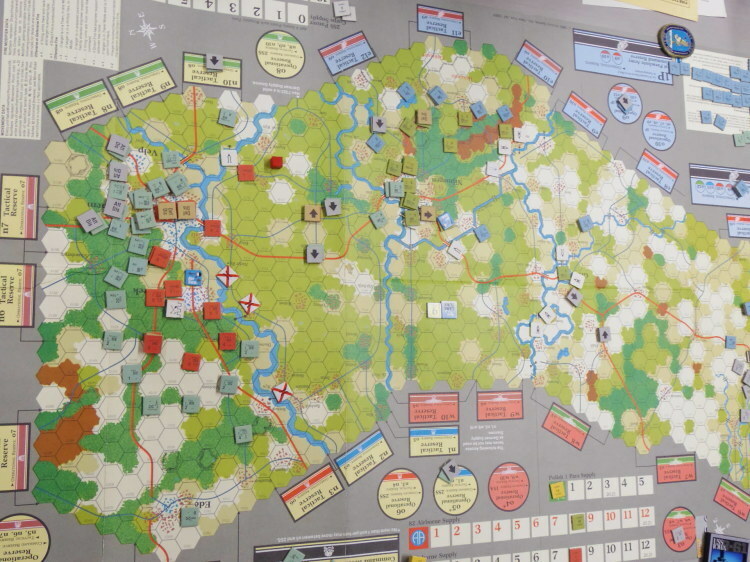 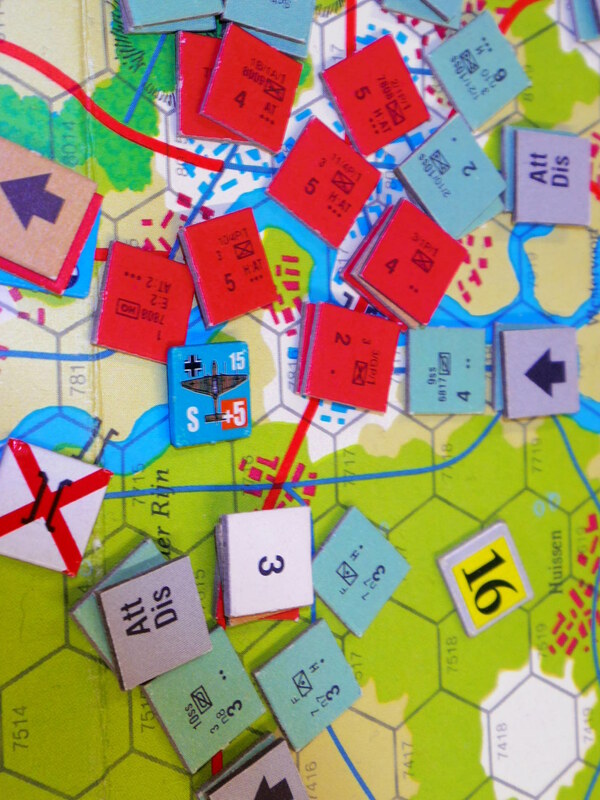 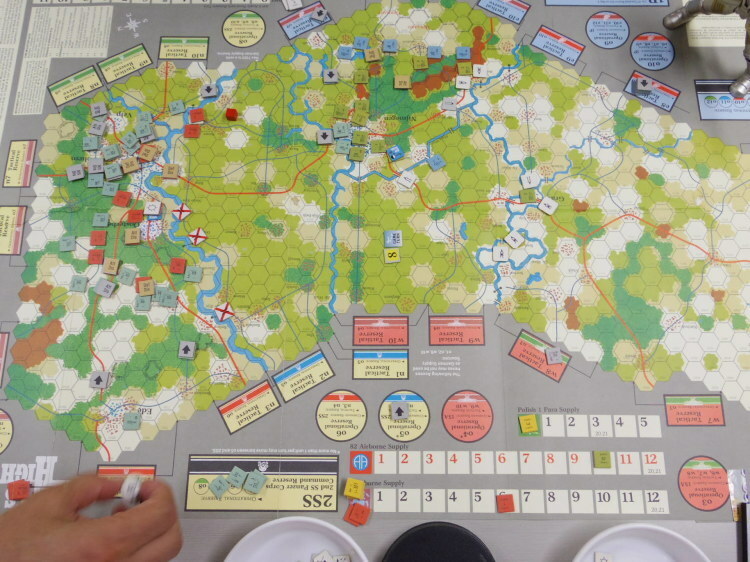 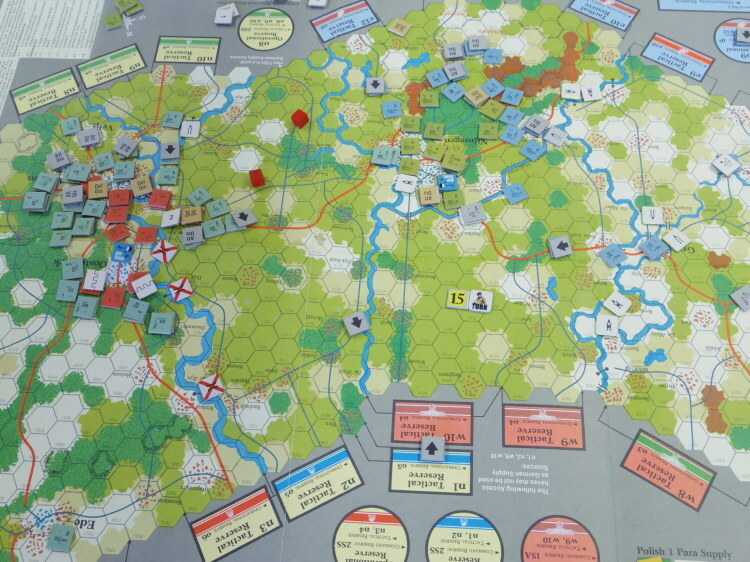 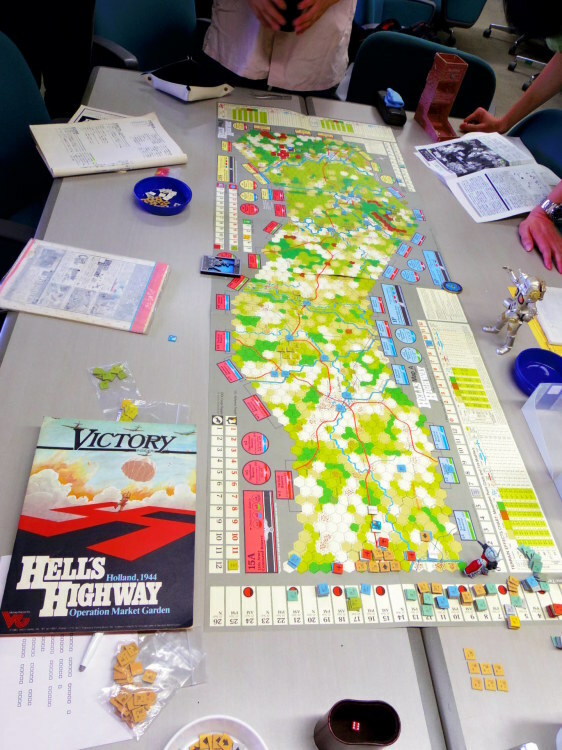 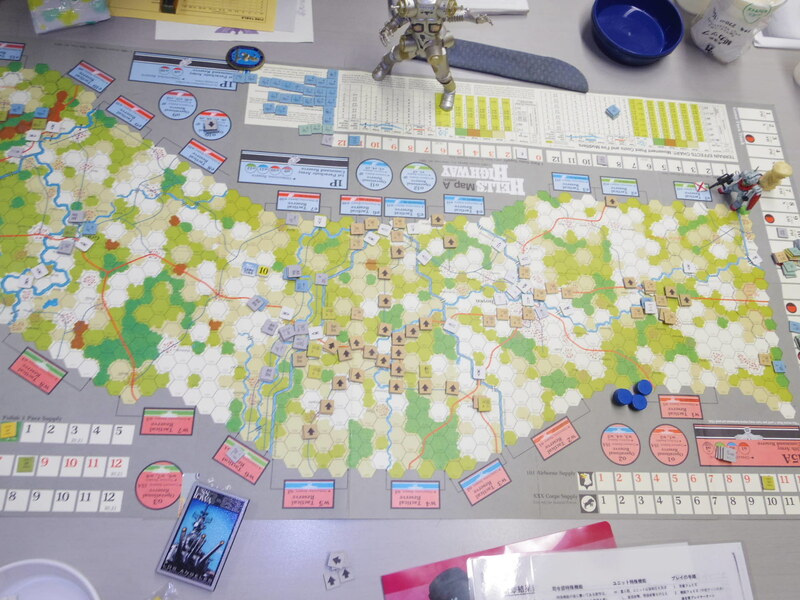 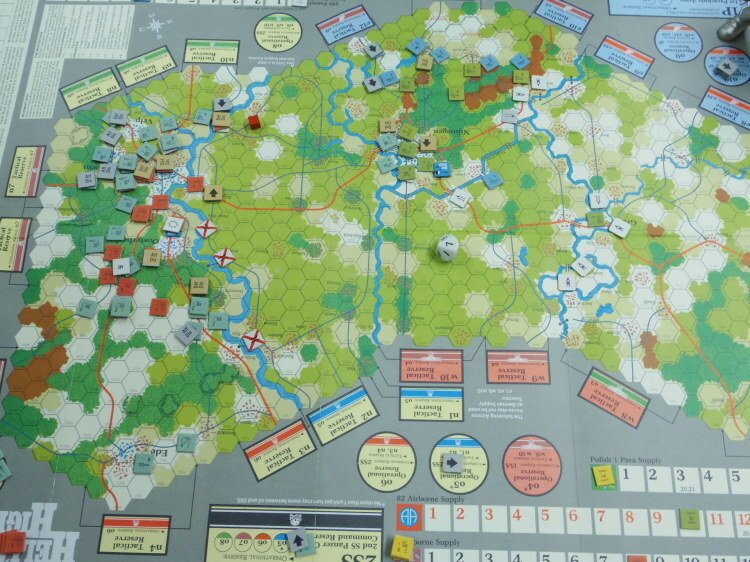 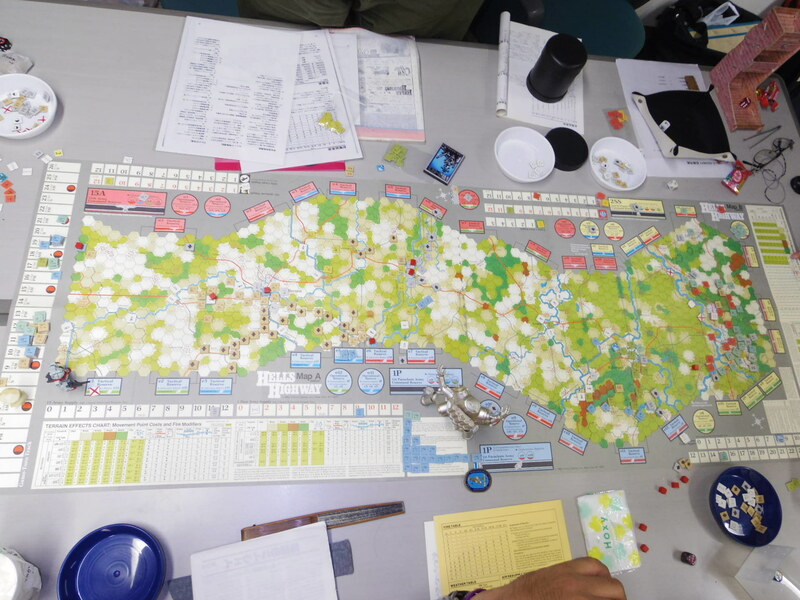 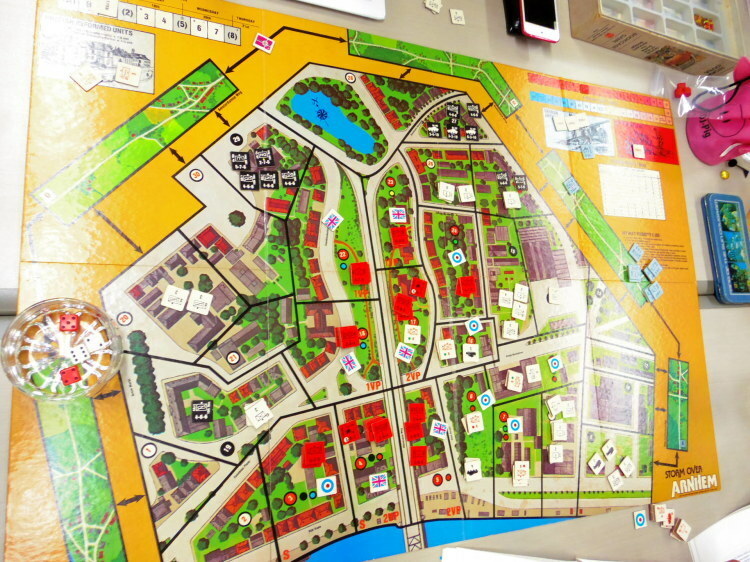 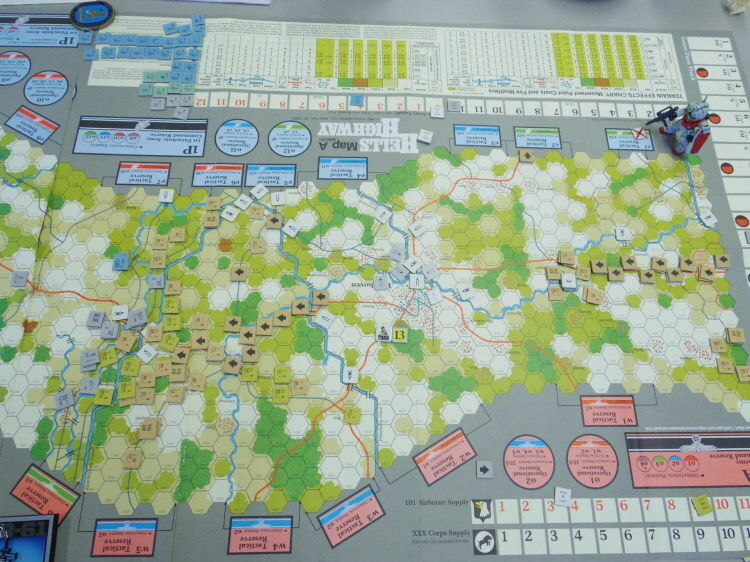 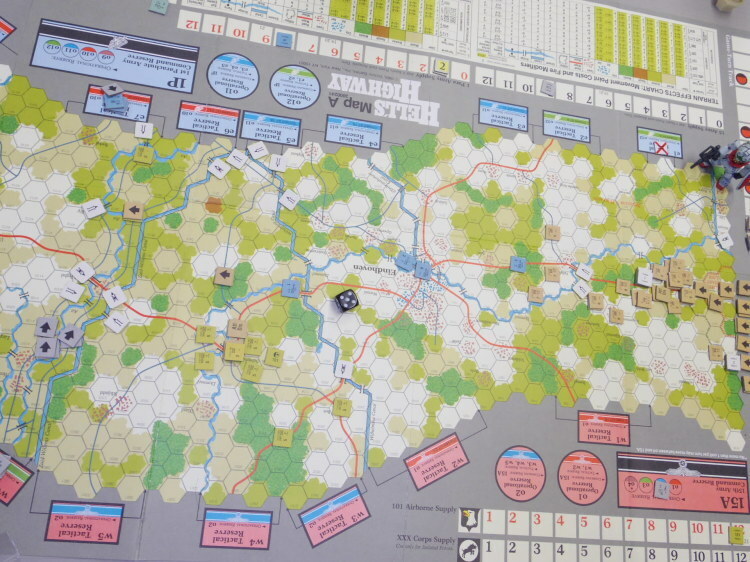 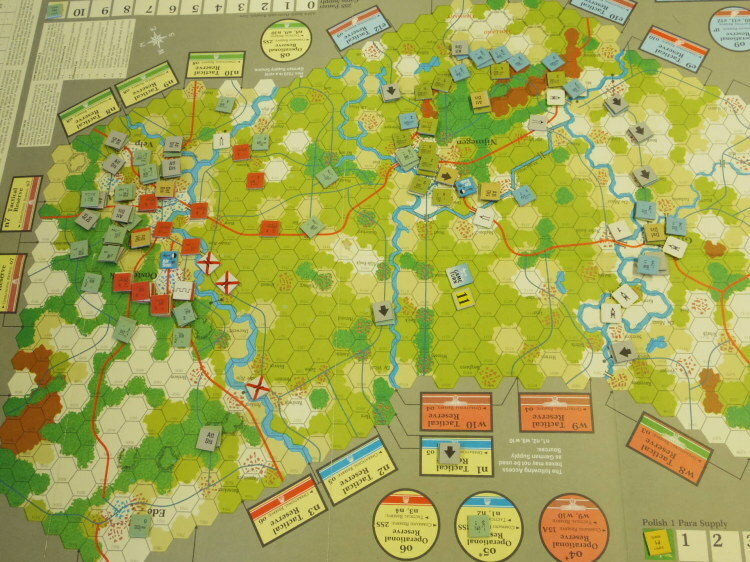 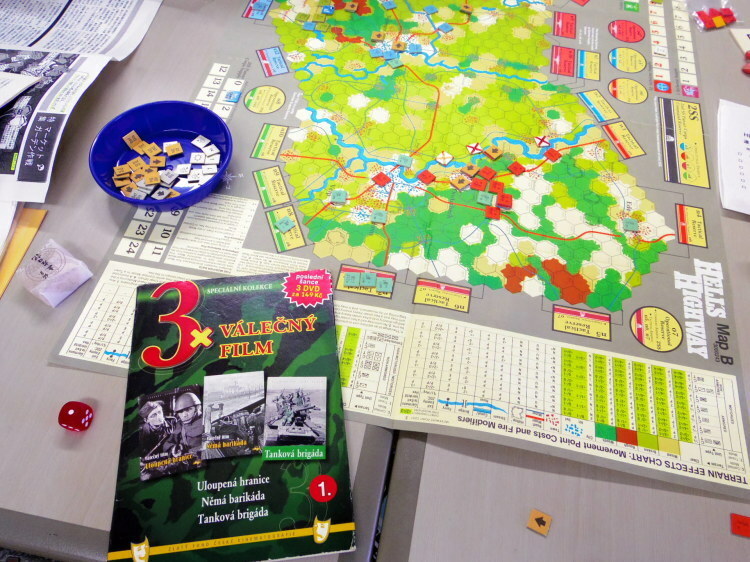 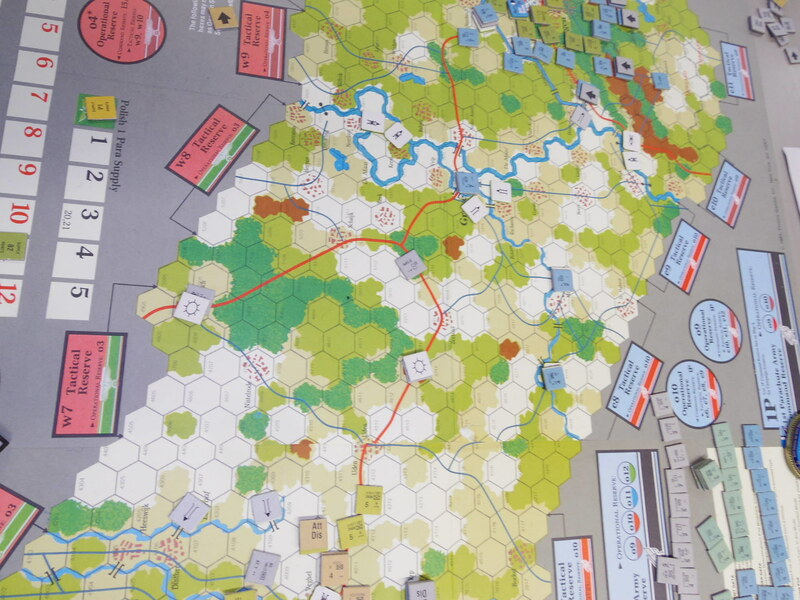 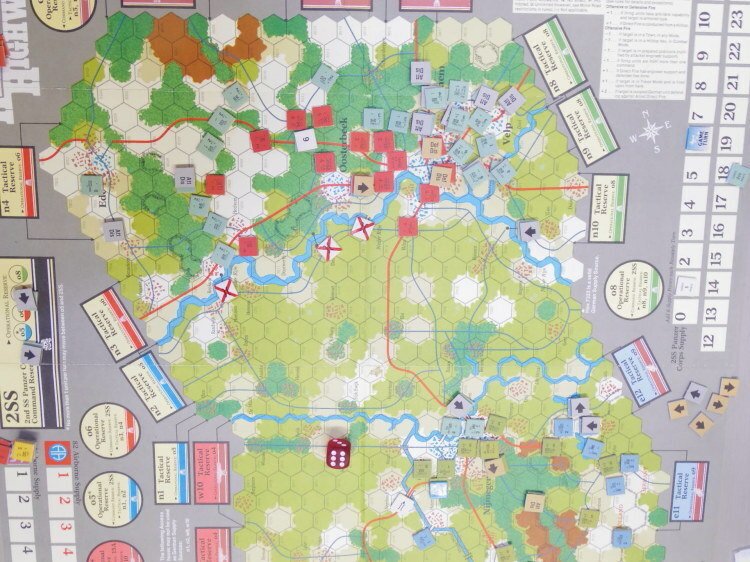 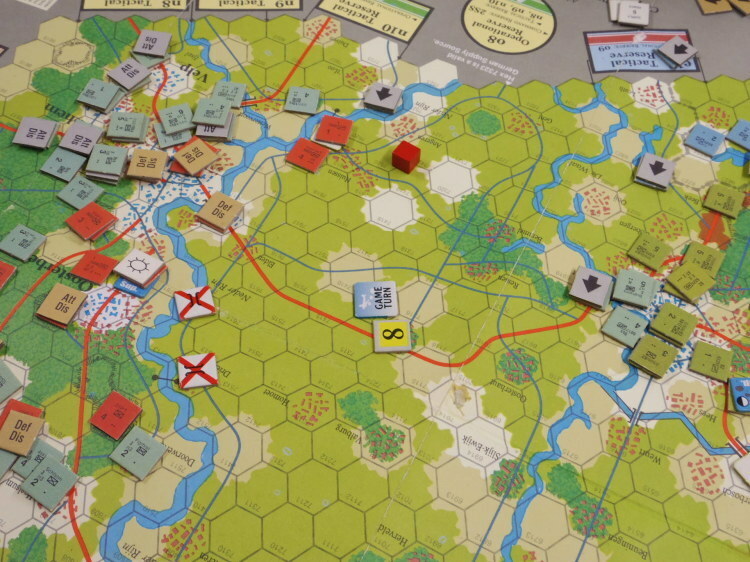 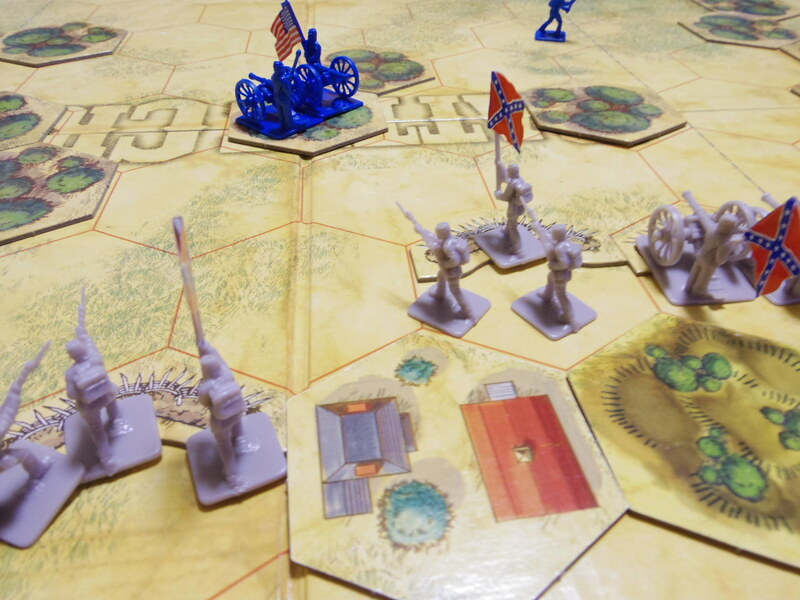 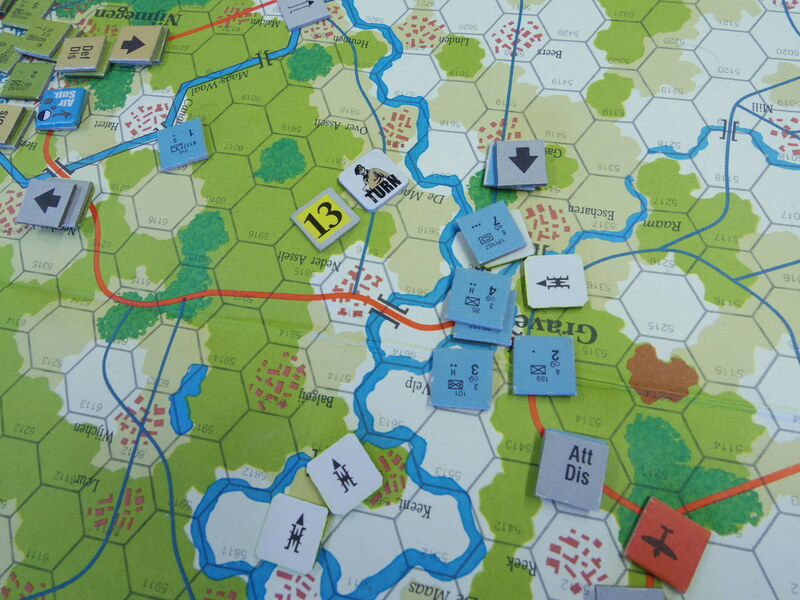 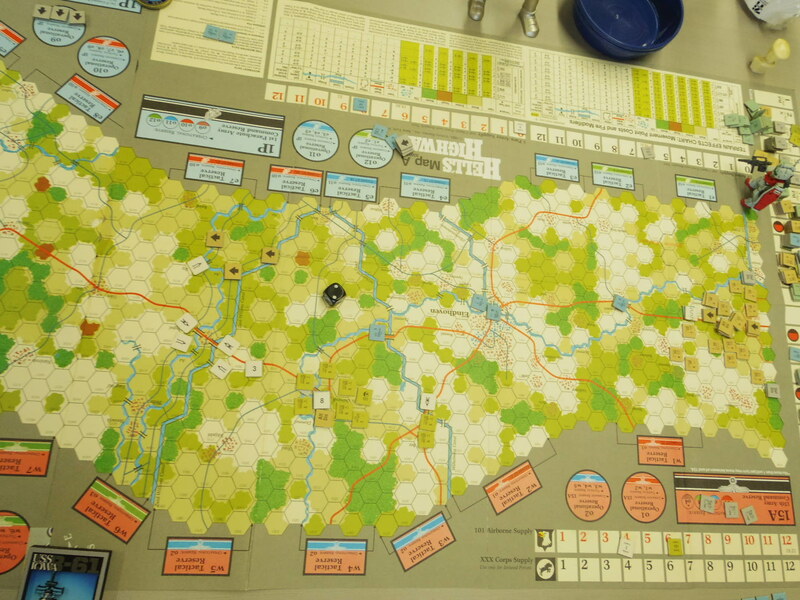 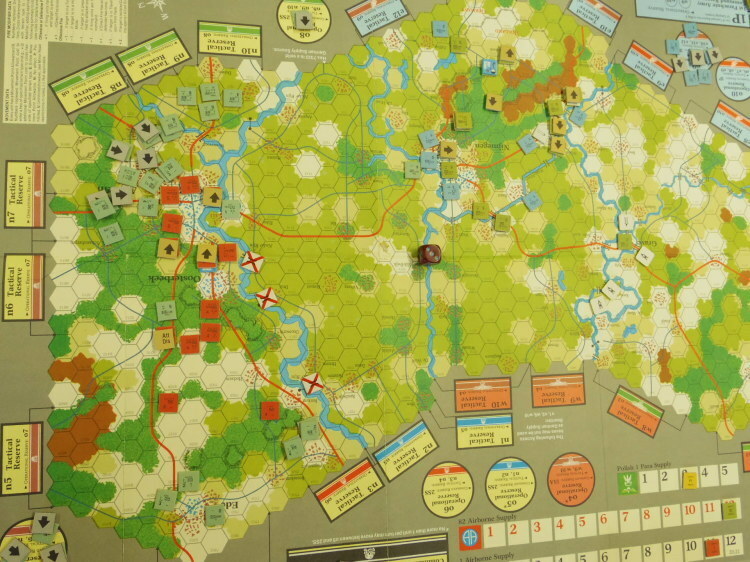 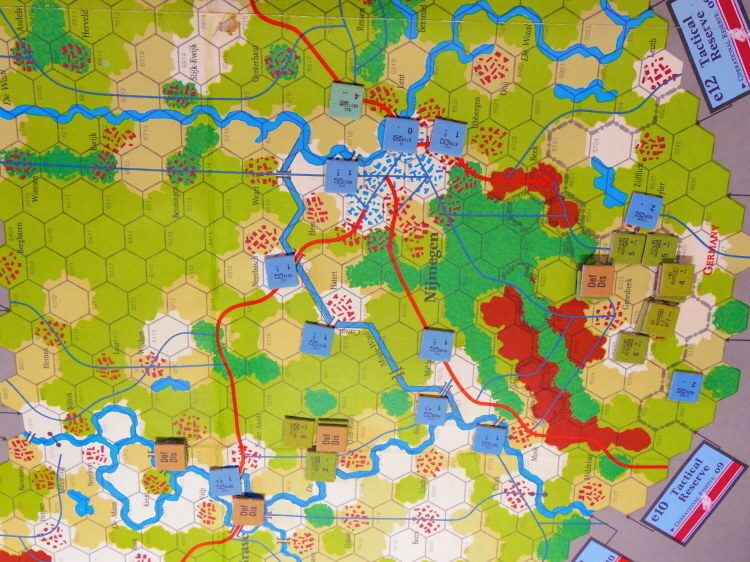 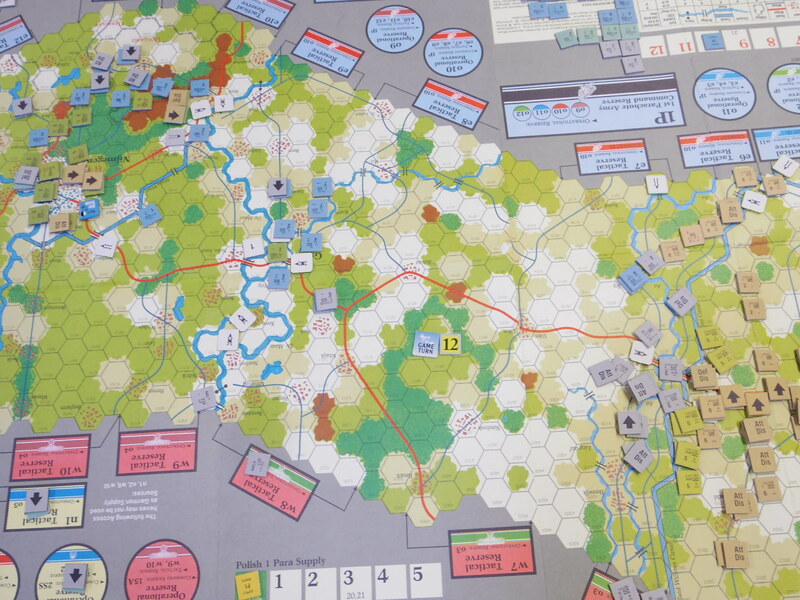 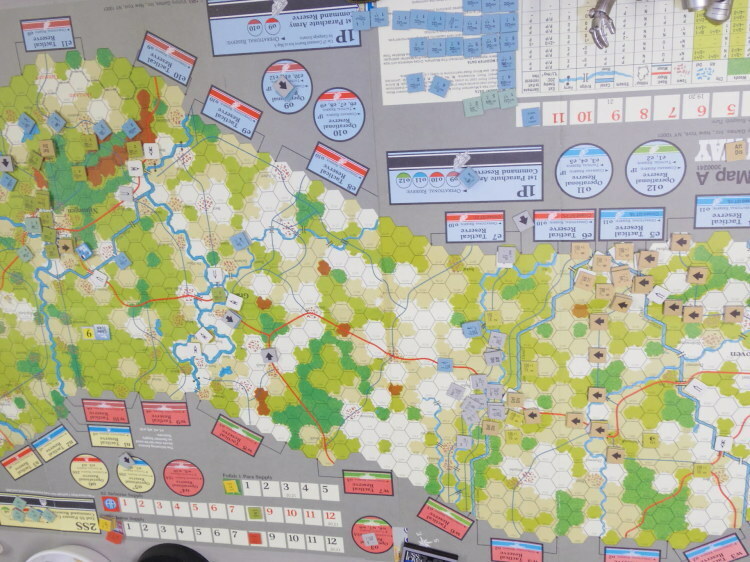 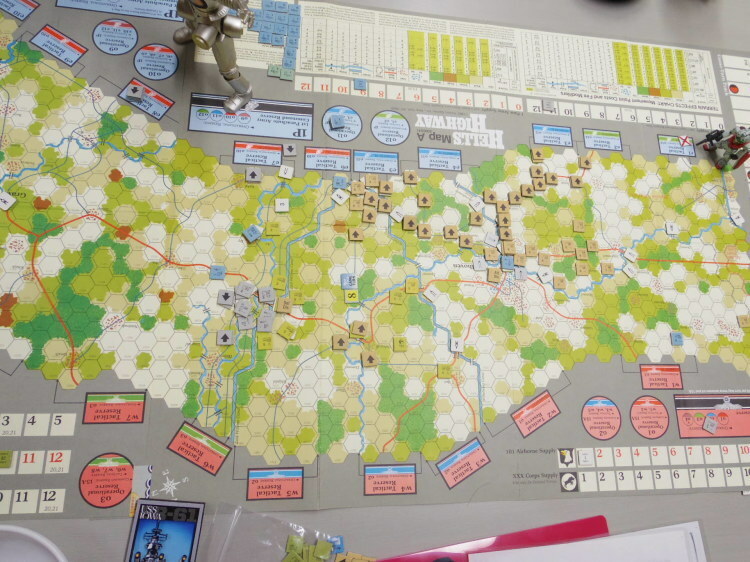 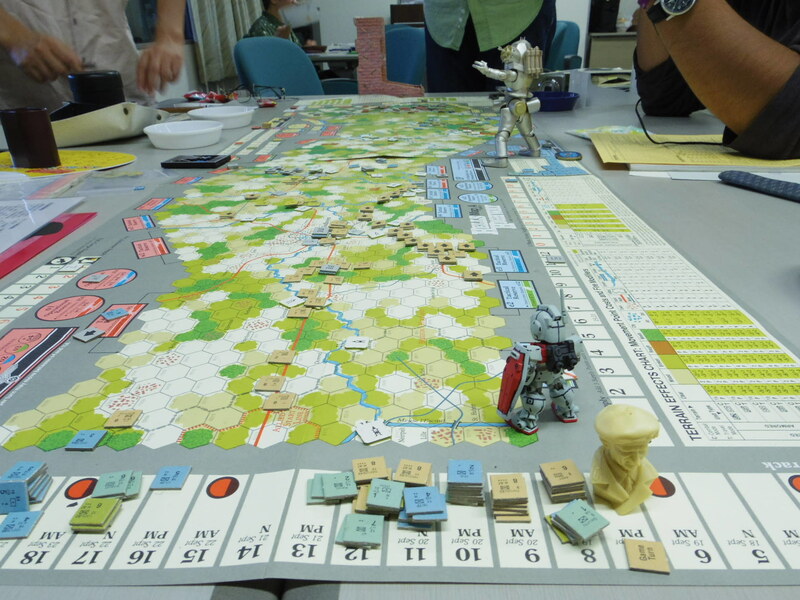 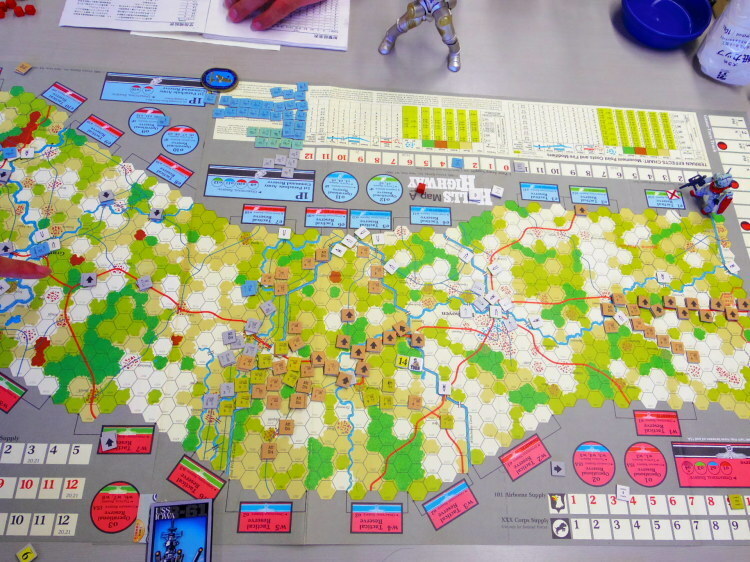 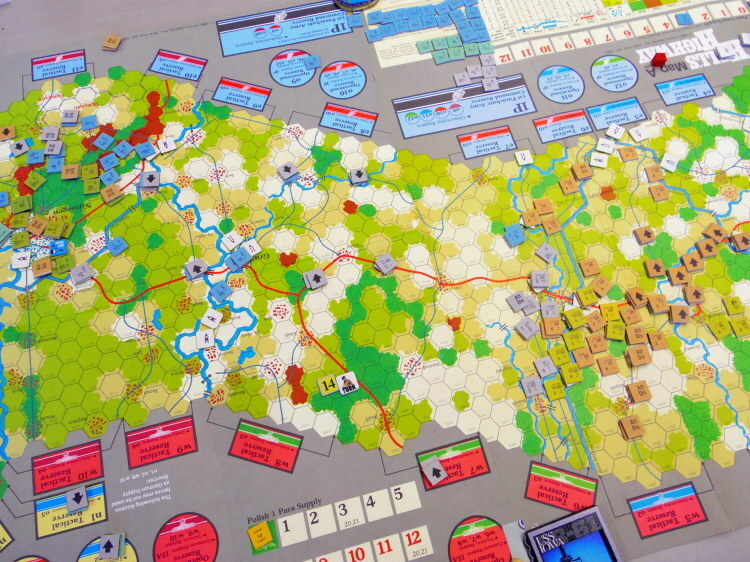 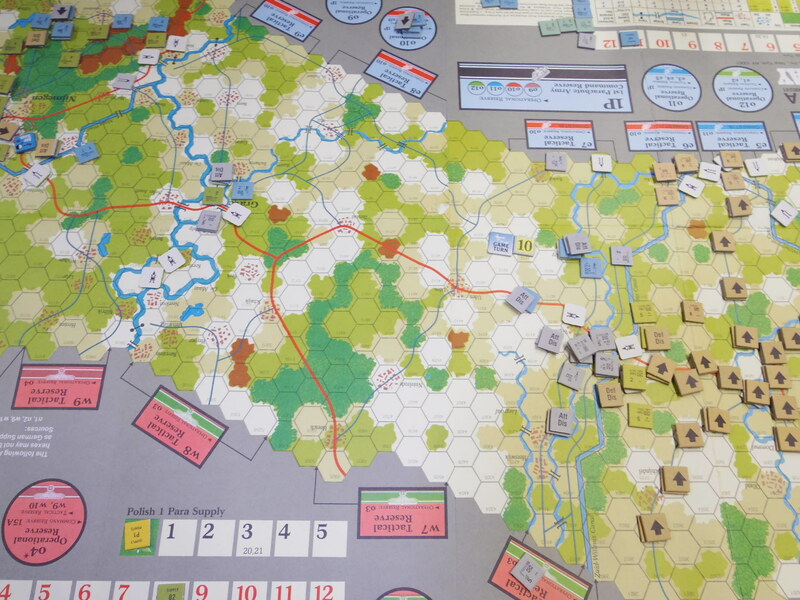 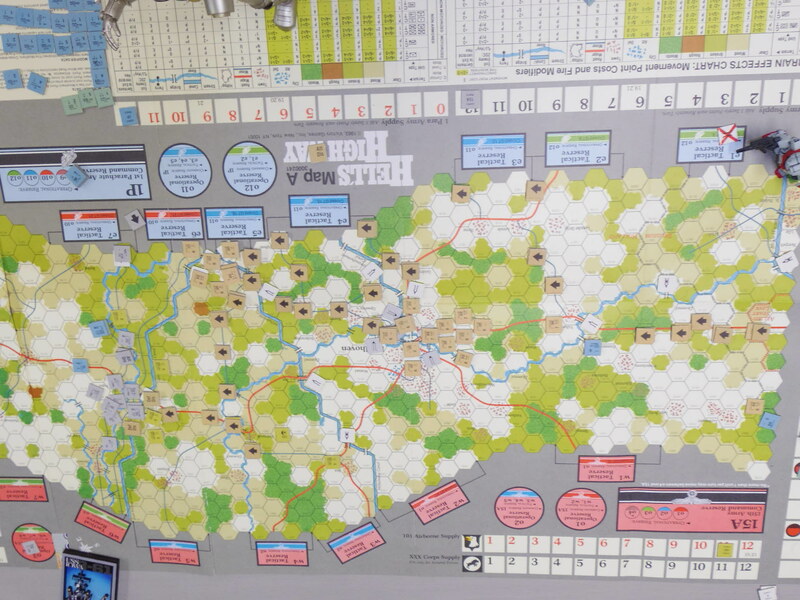 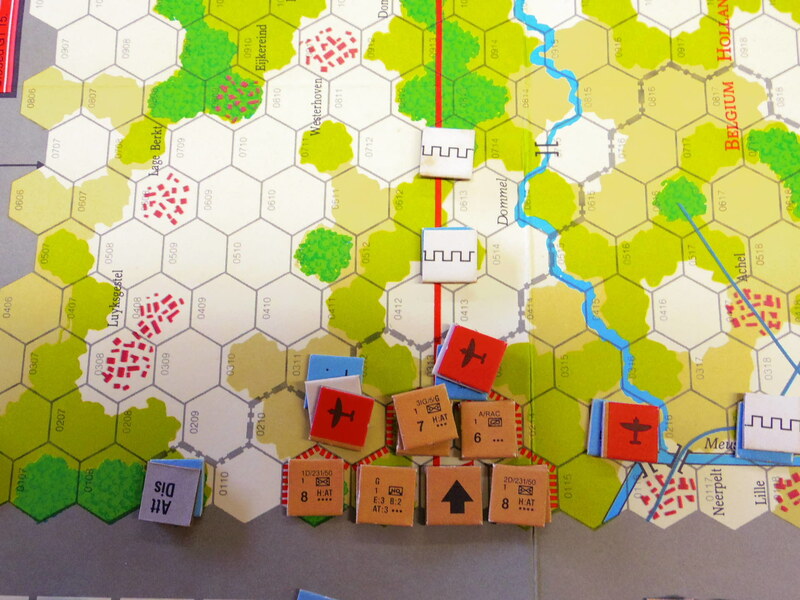 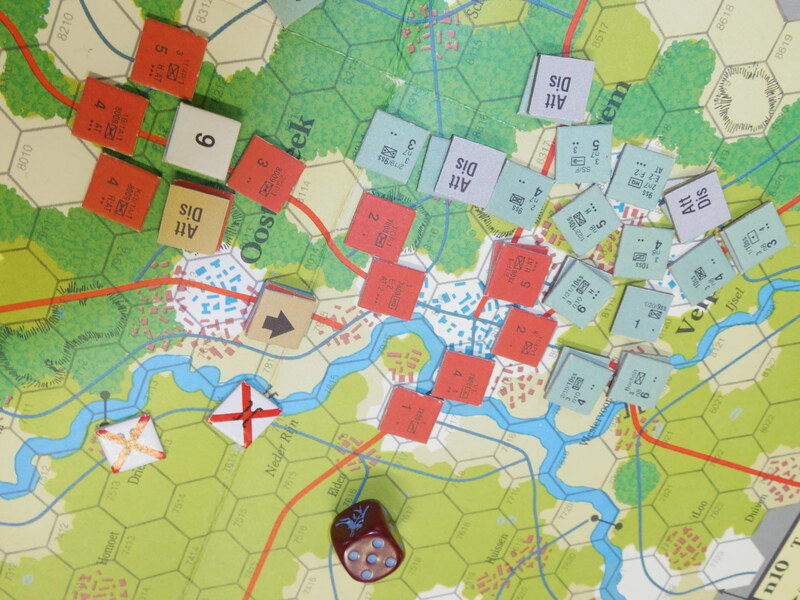 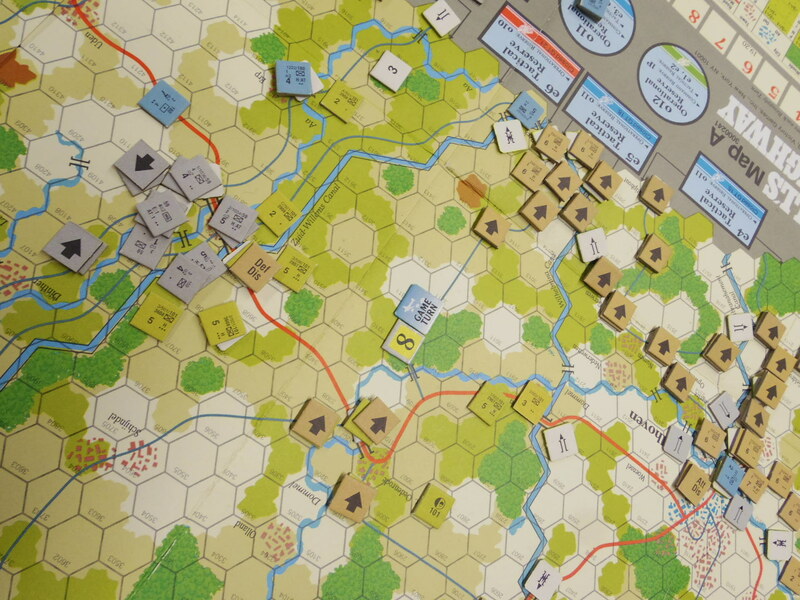 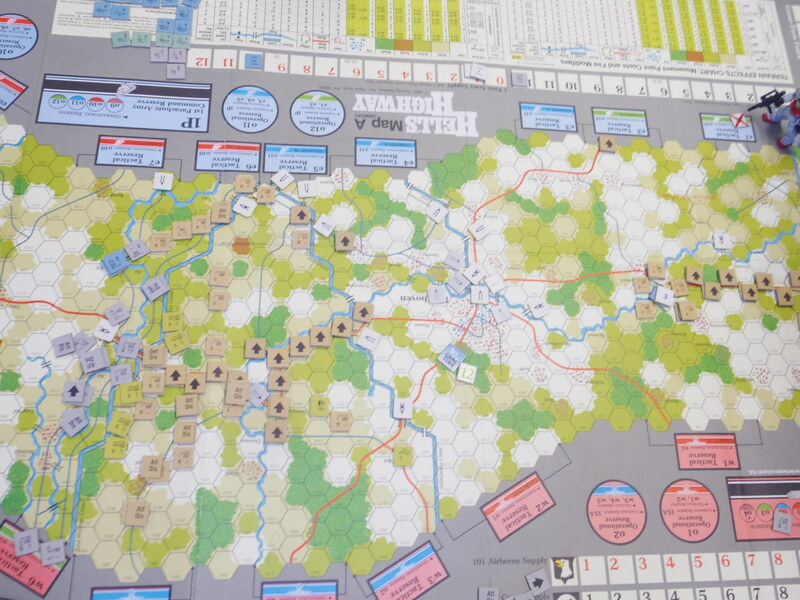 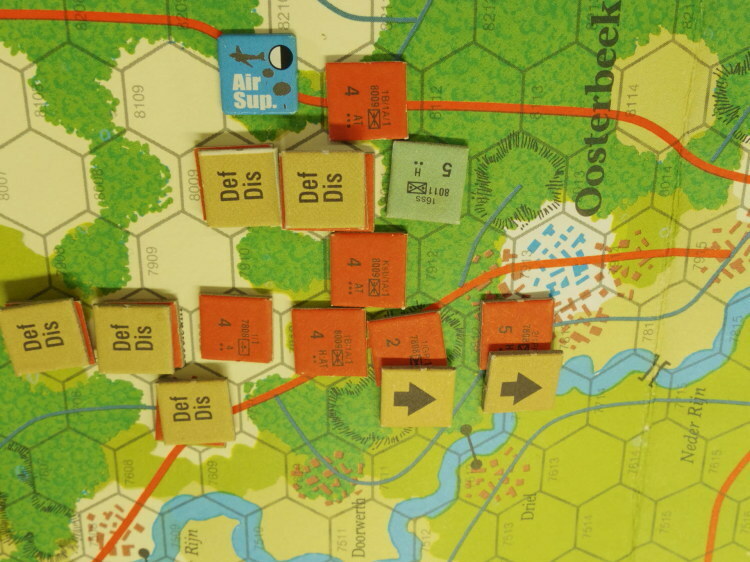 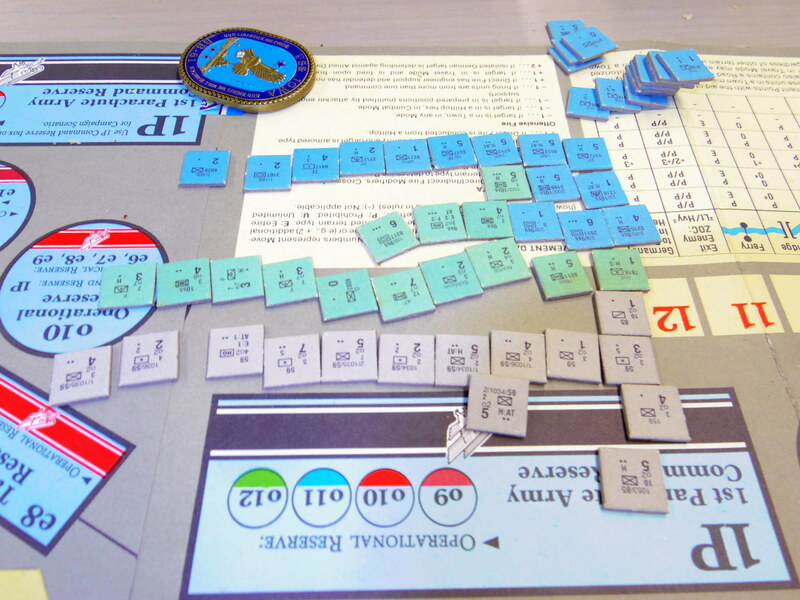 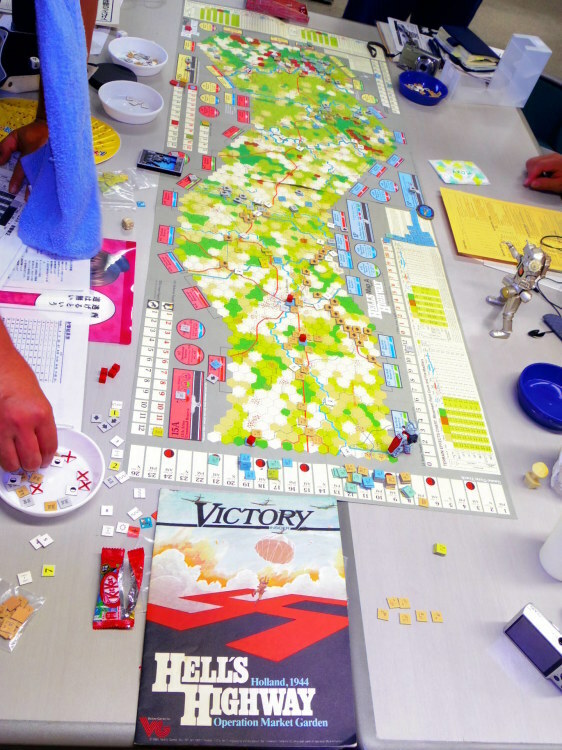 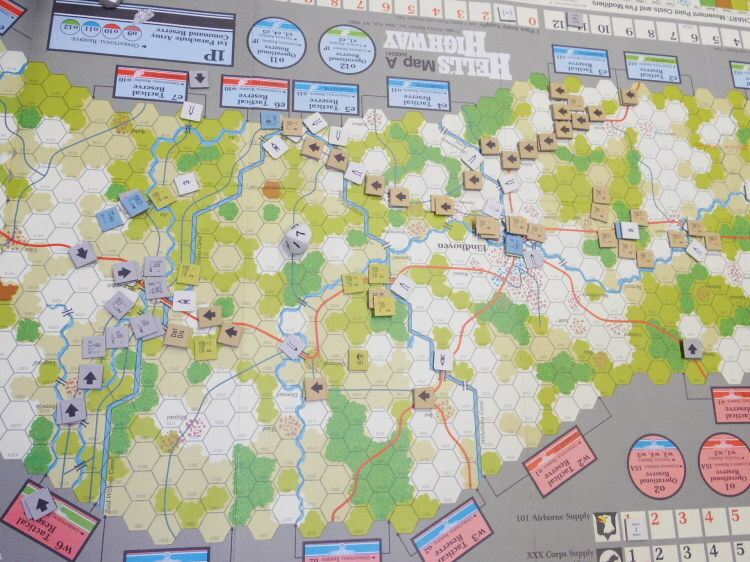 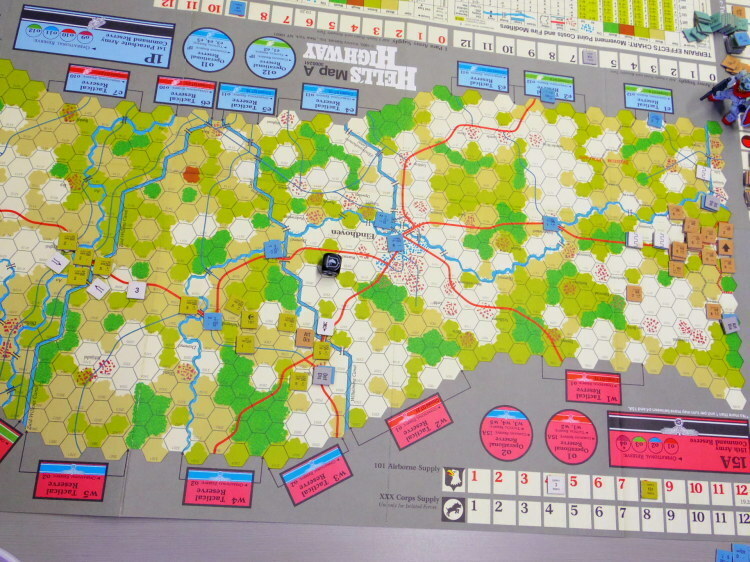 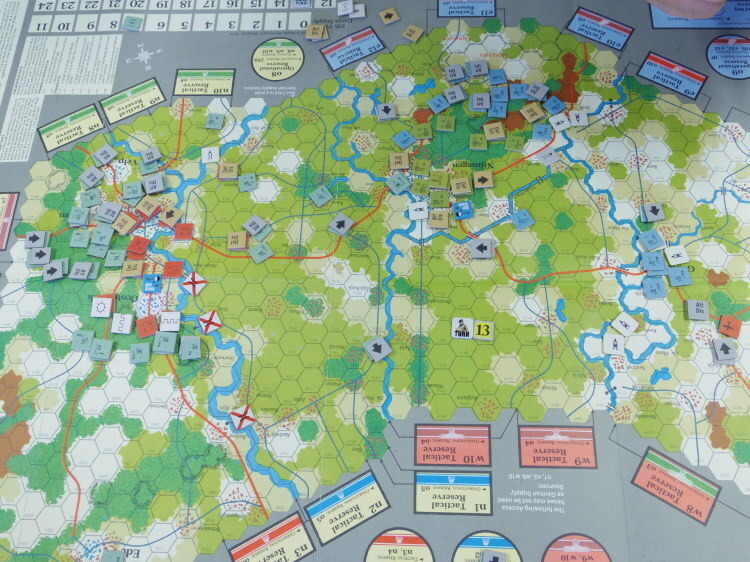 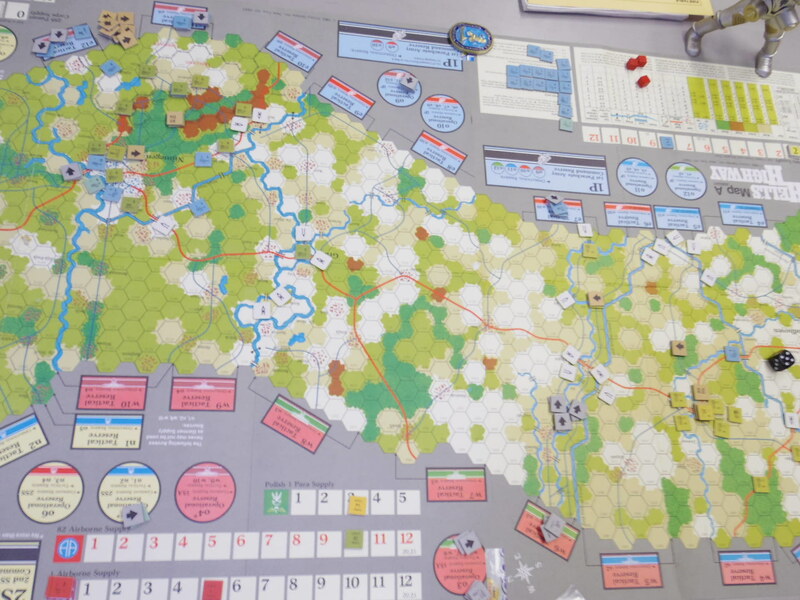 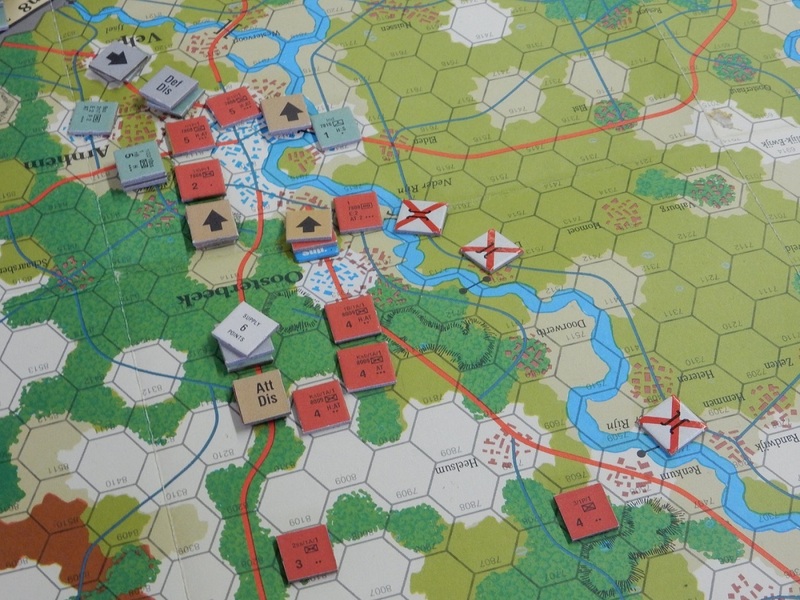 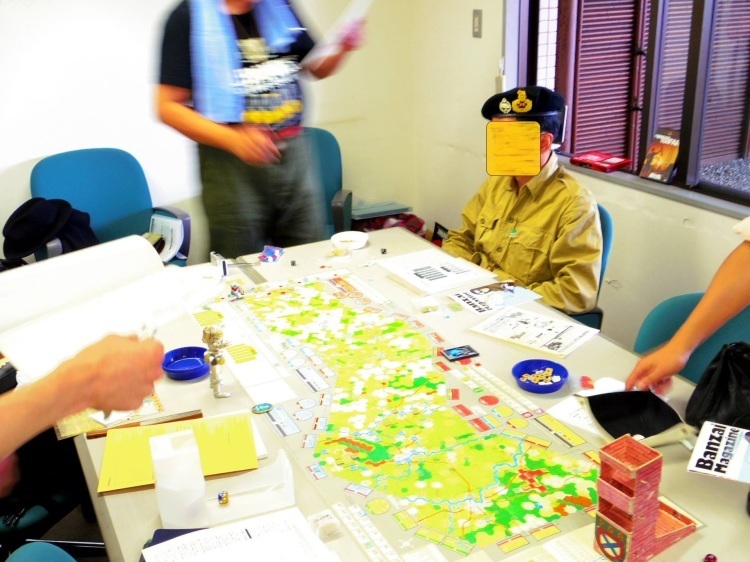 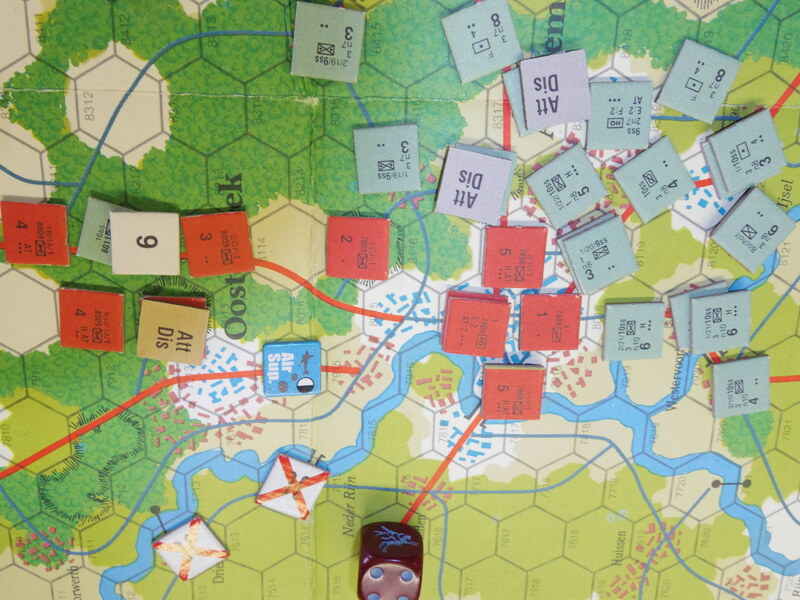 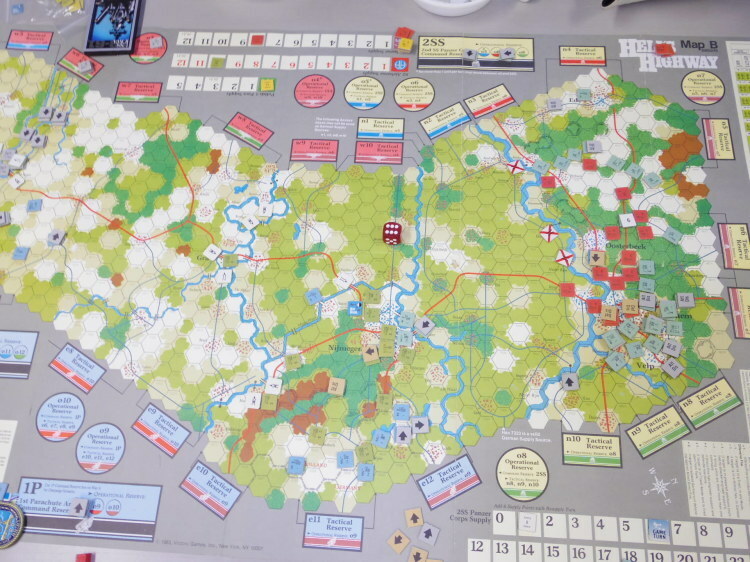 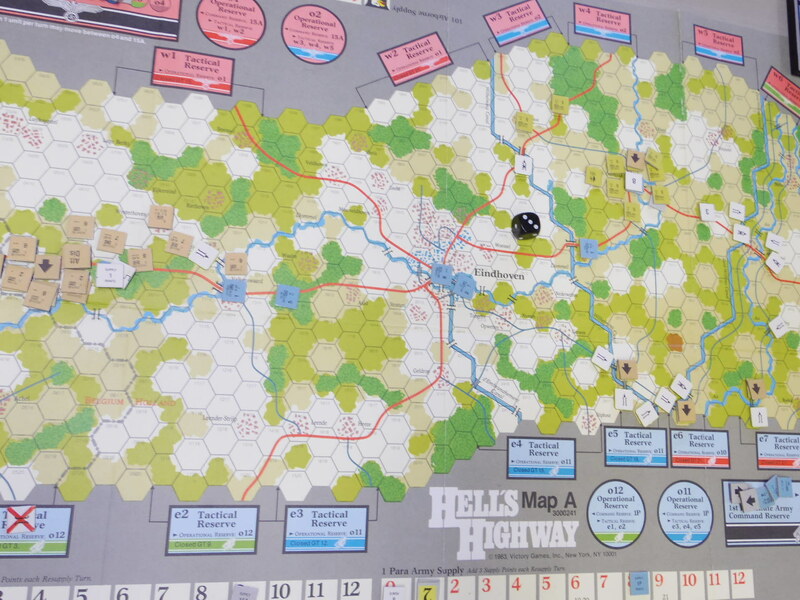 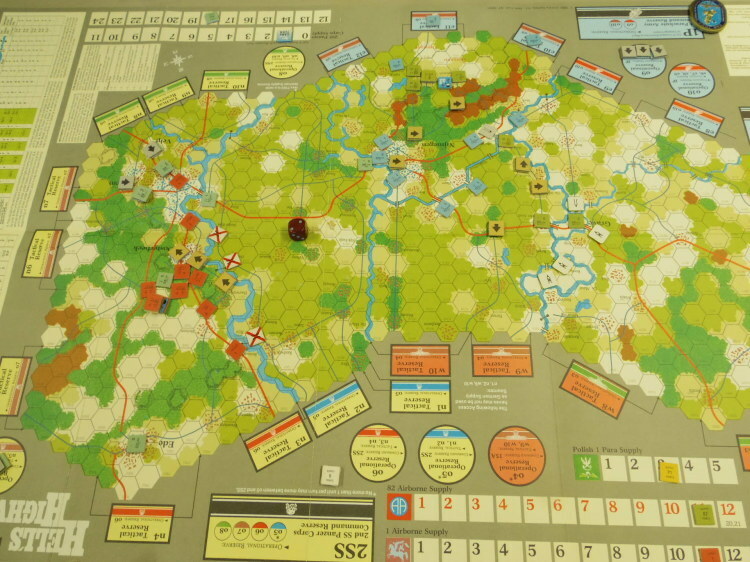 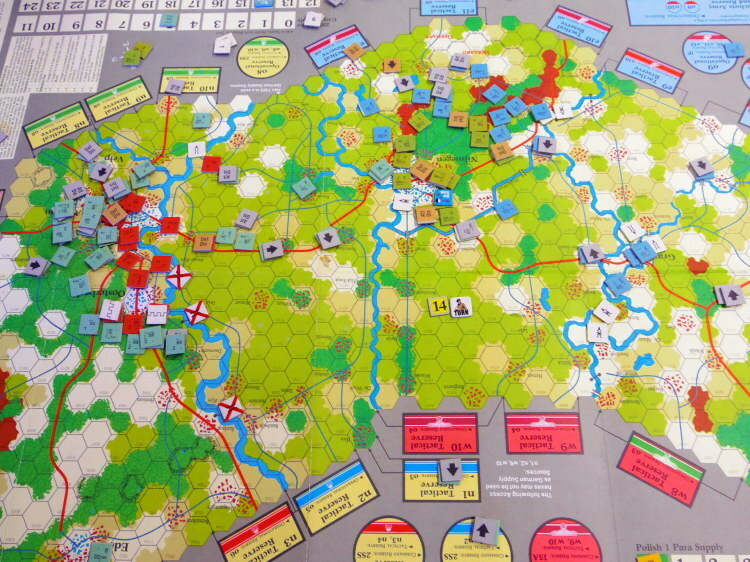 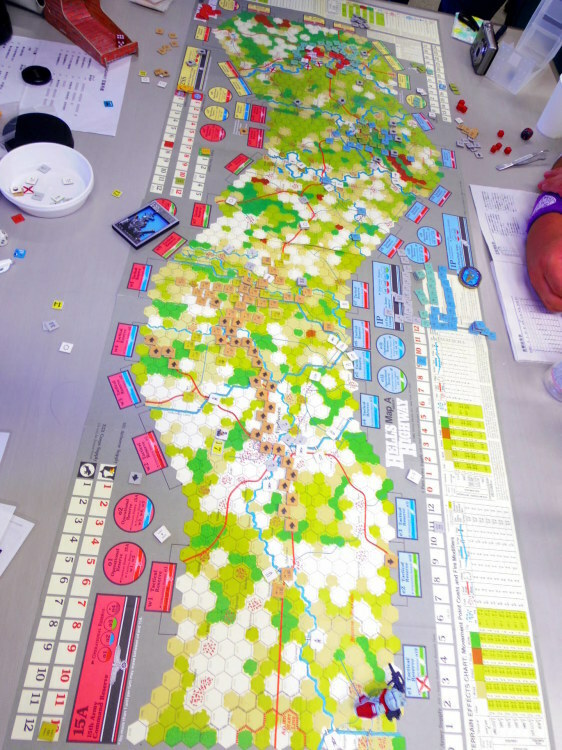 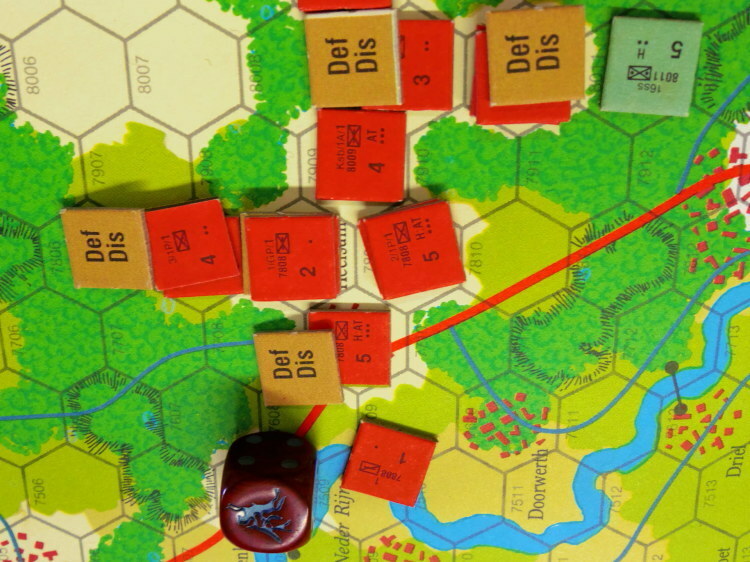 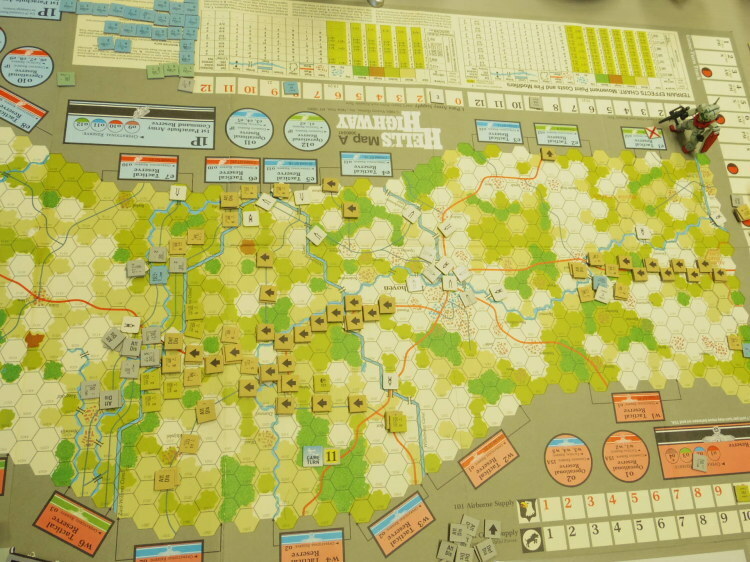 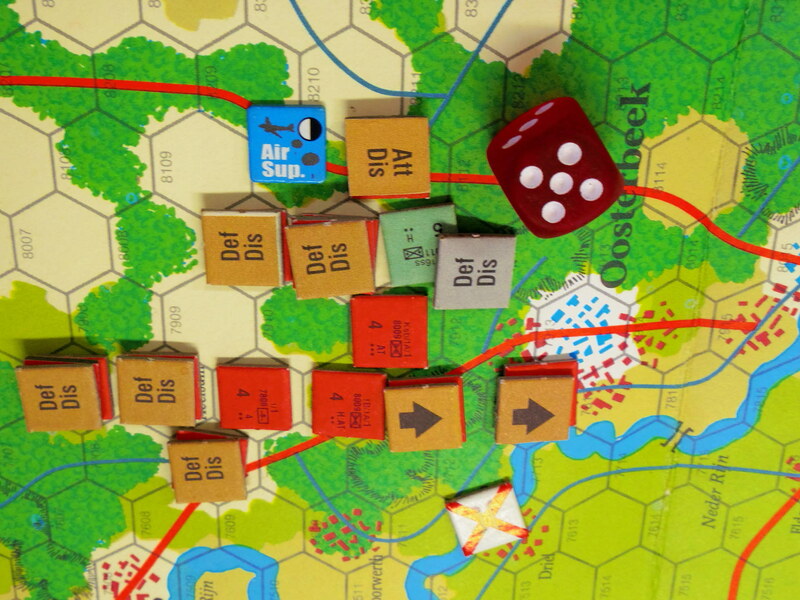 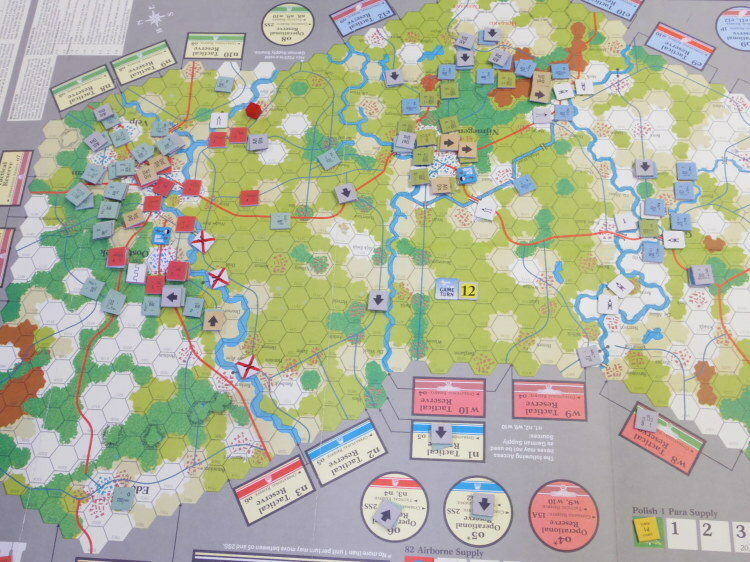 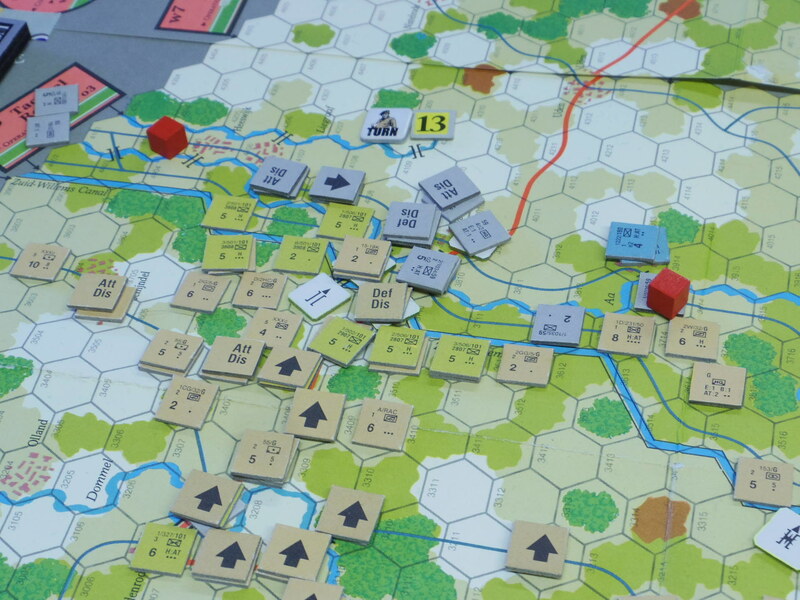 A low complexity game of a variety of civil war battles. 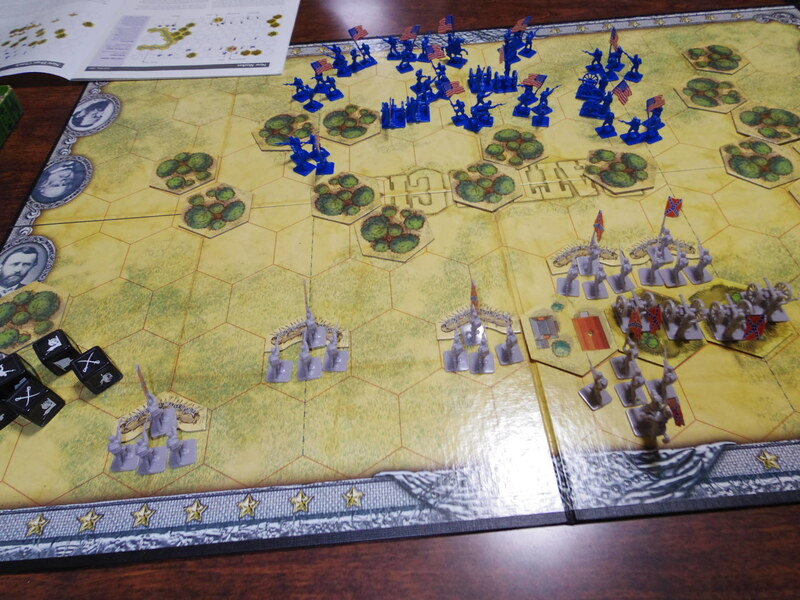 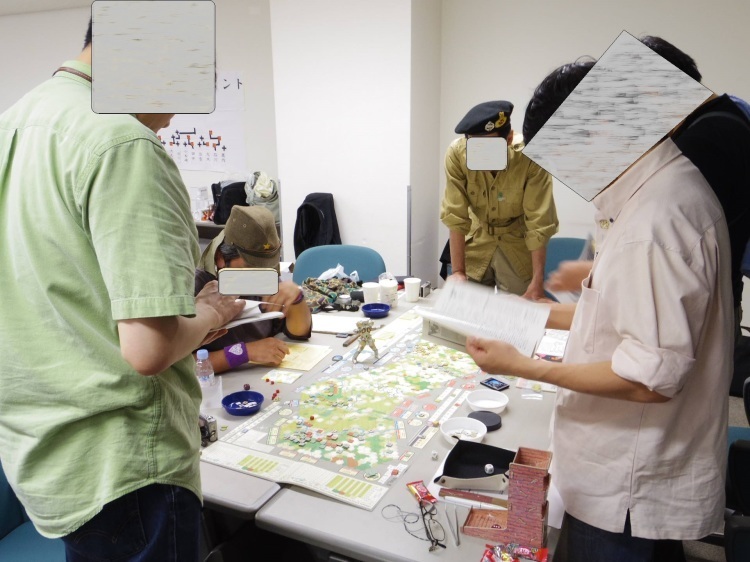 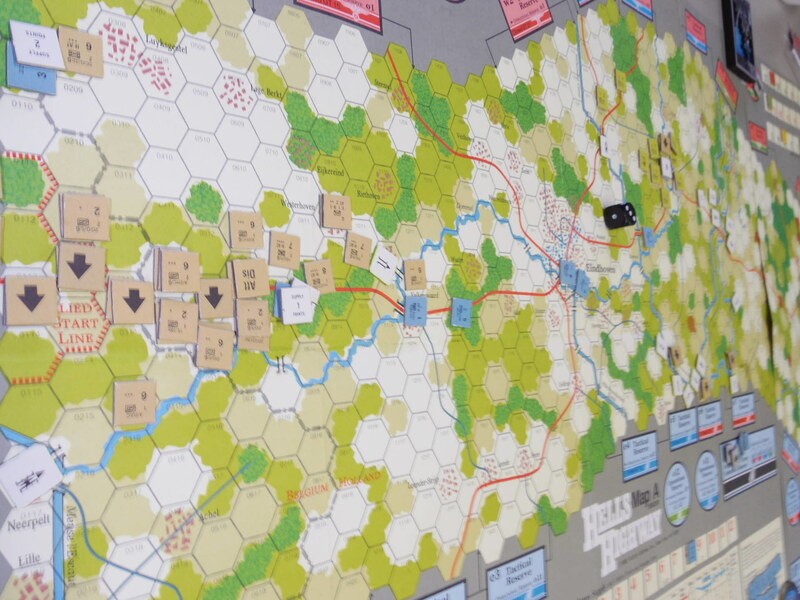 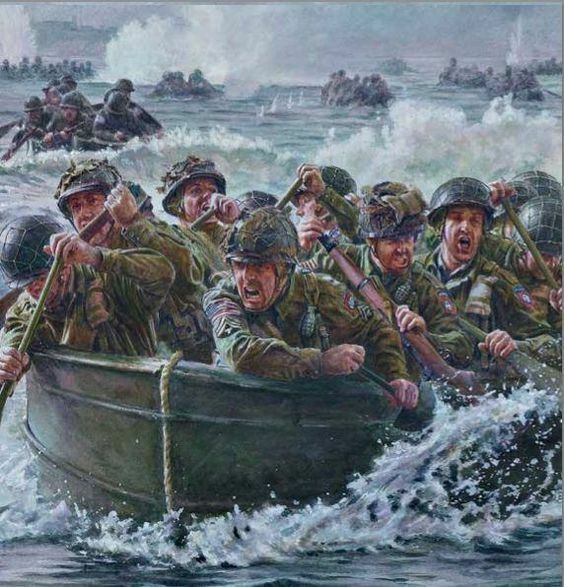 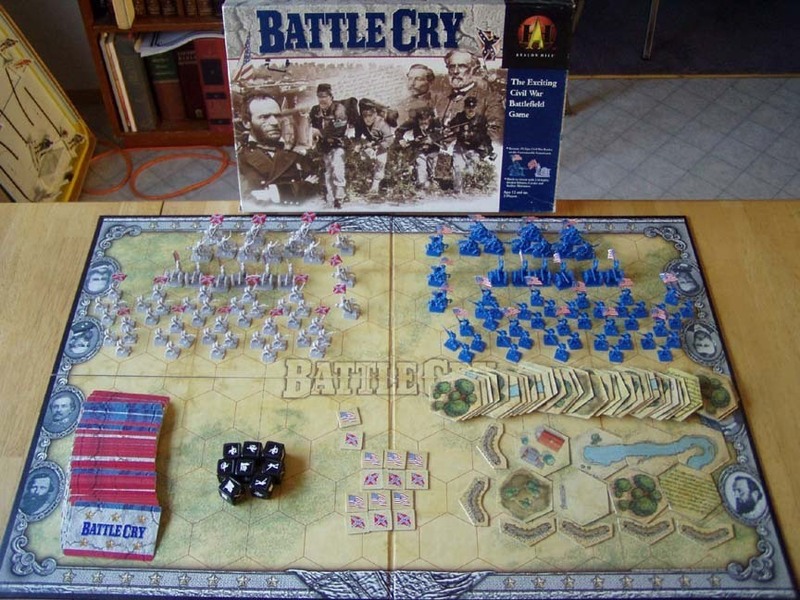 Modular terrain through the use of hexagonal tiles allows for the setup of several famous civil war battle fields and a plethora of plastic civil war miniatures are used to represent the various forces during the conflict (infantry, cavalry, artillery and leaders). 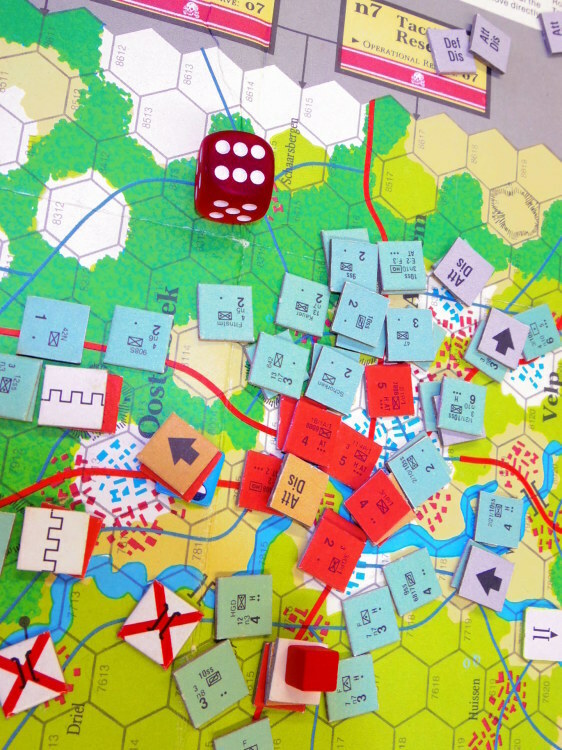 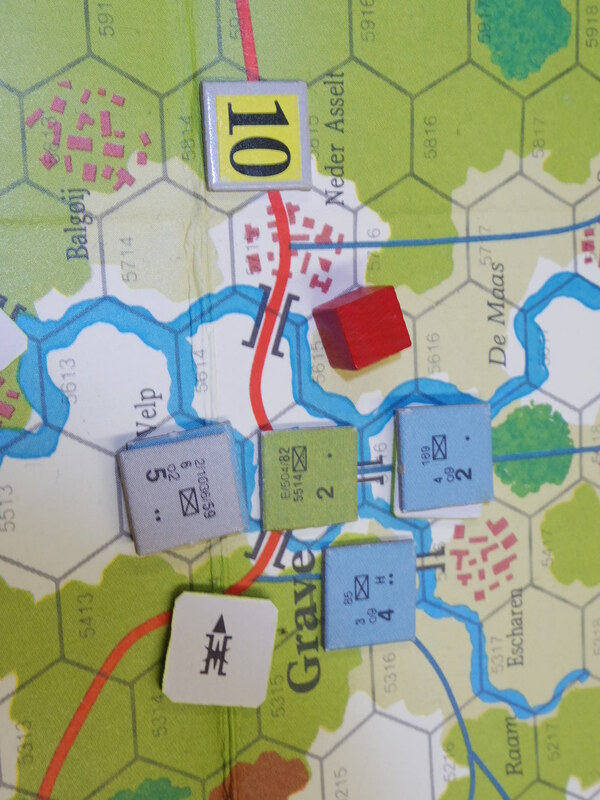 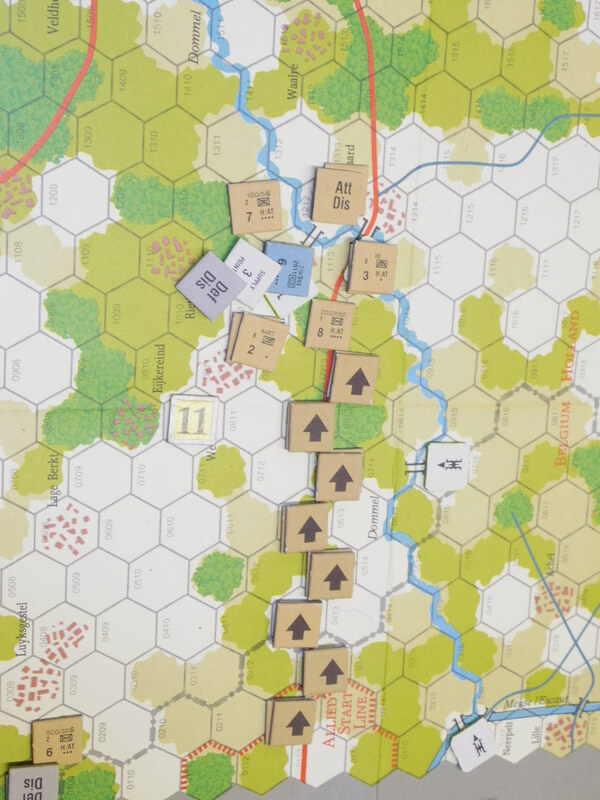 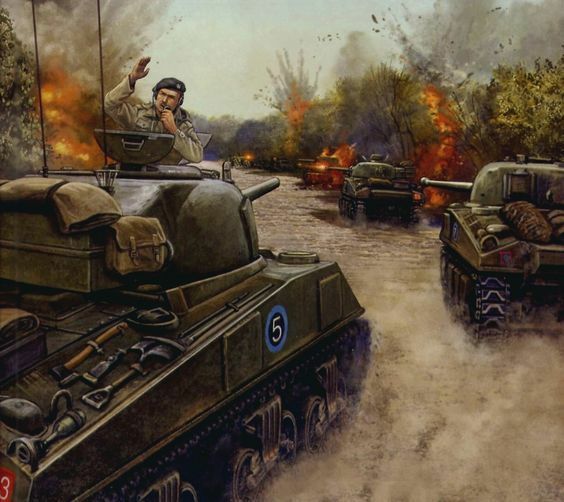 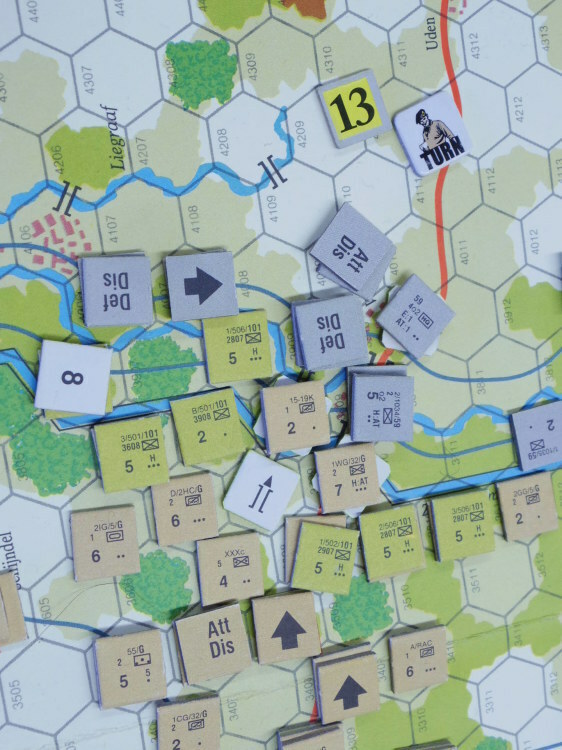 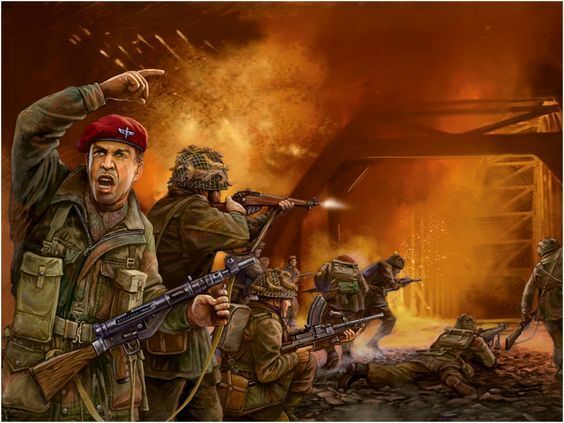 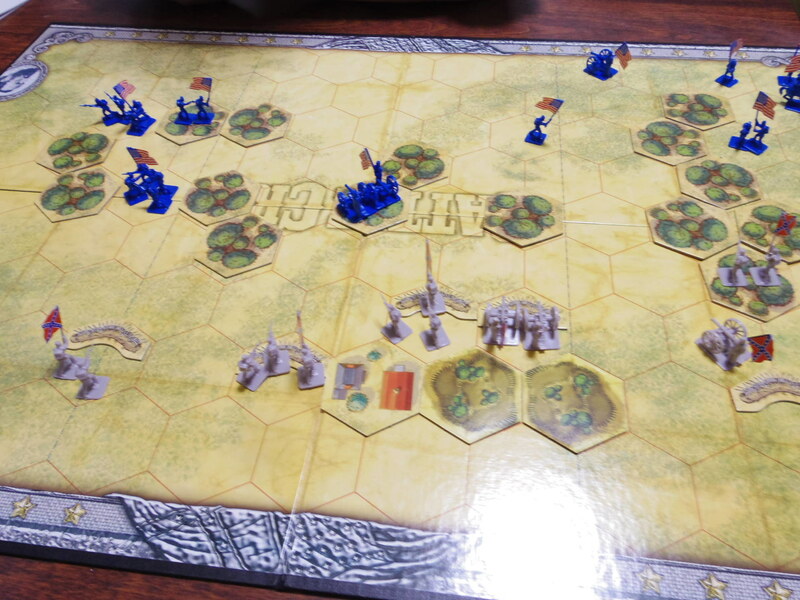 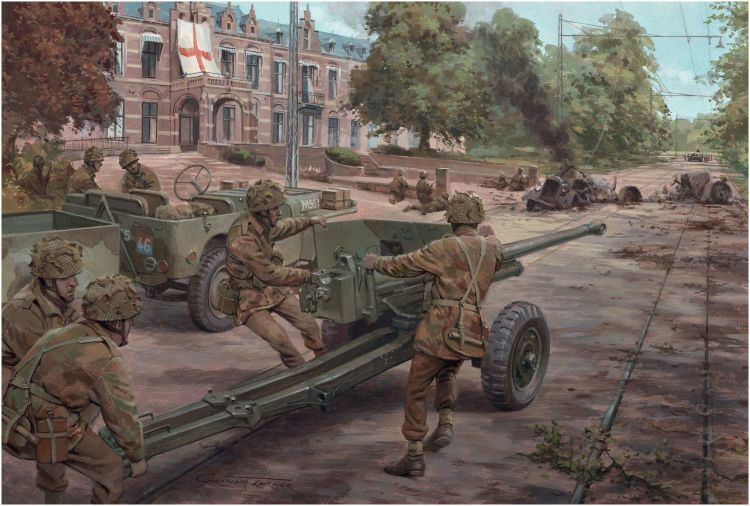 Players manage a hand of cards that provide different orders to your troops in the right flank, left flank and center position of the battlefield. 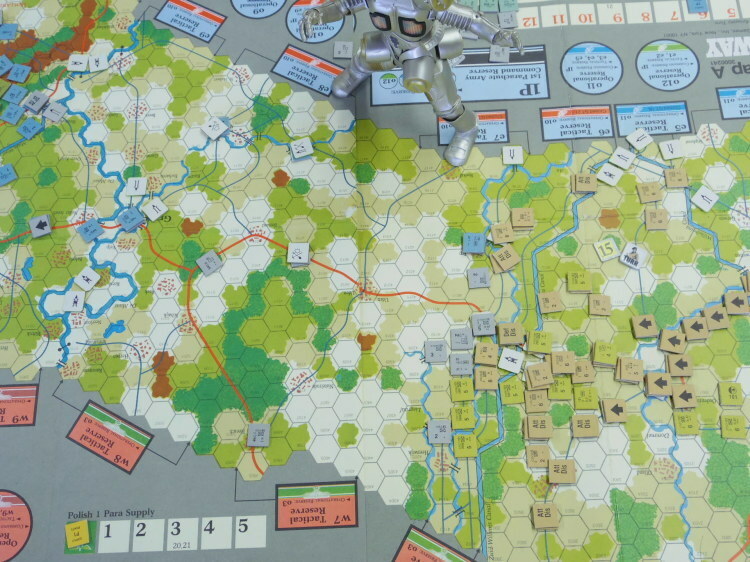 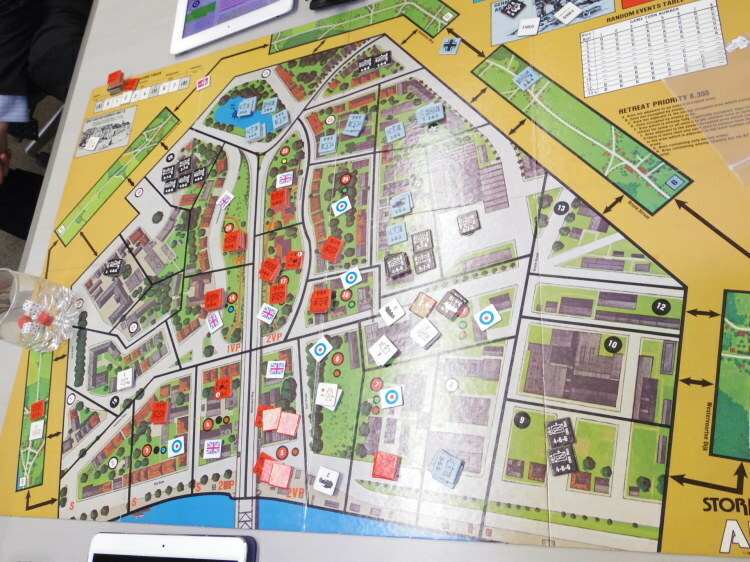 This game is the first to use what would evolve into Richard Borg's Command and Colors system.